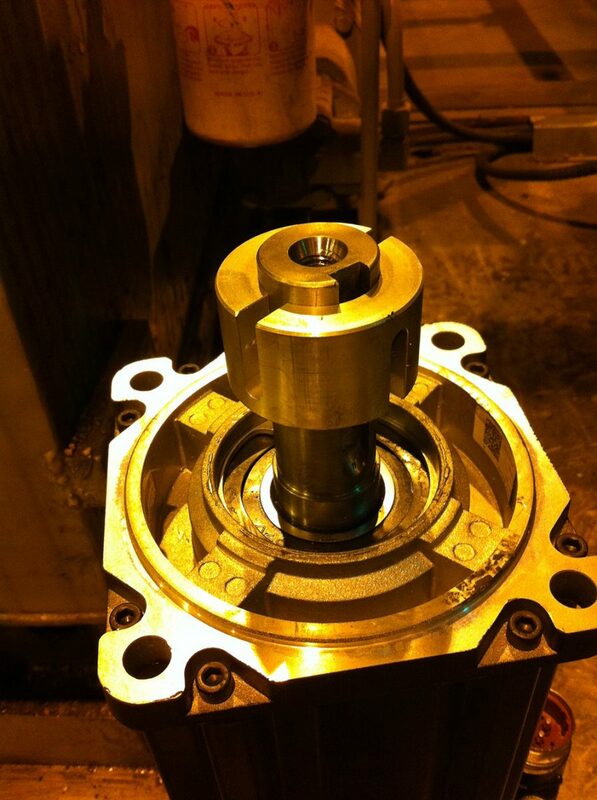 Manufacturing, two key factors to success are timing and accuracy. 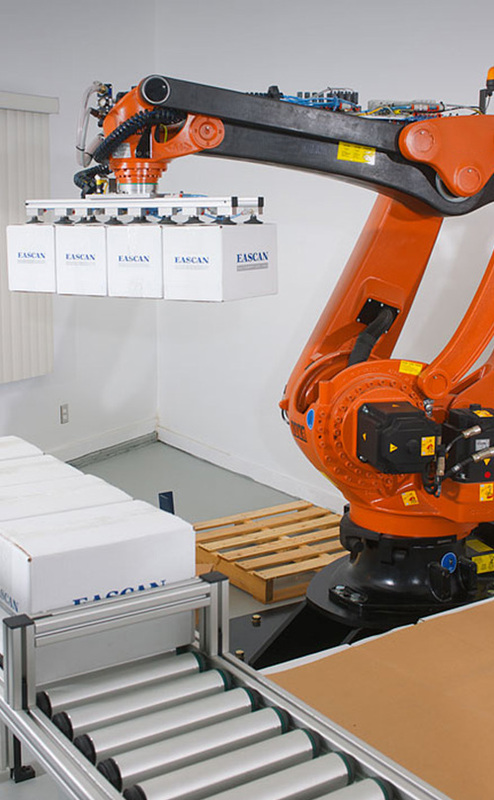 At Eascan Automation we add value to your business. 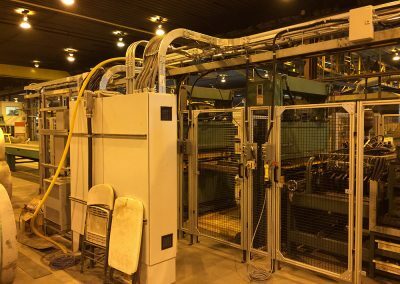 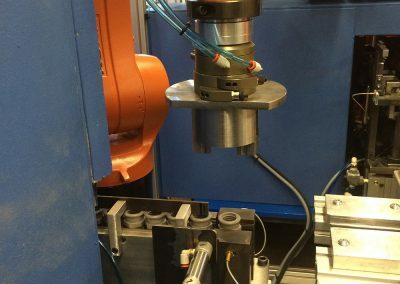 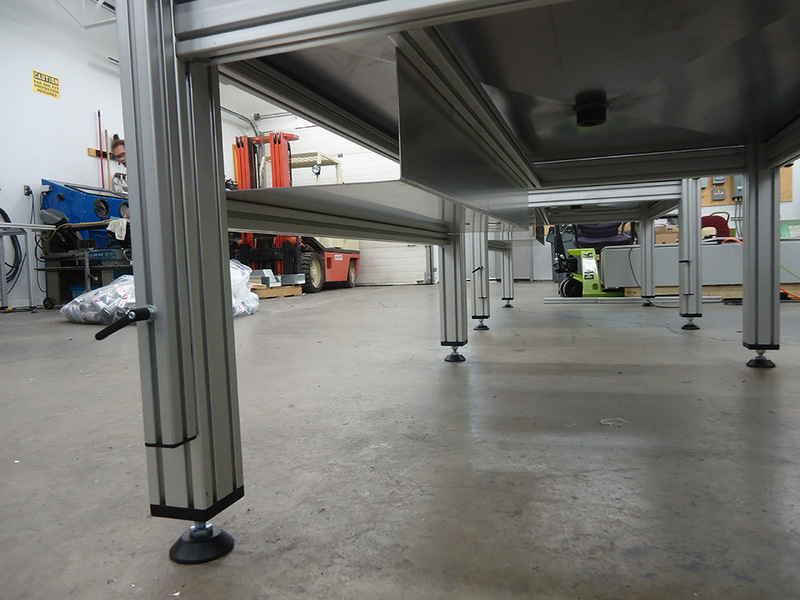 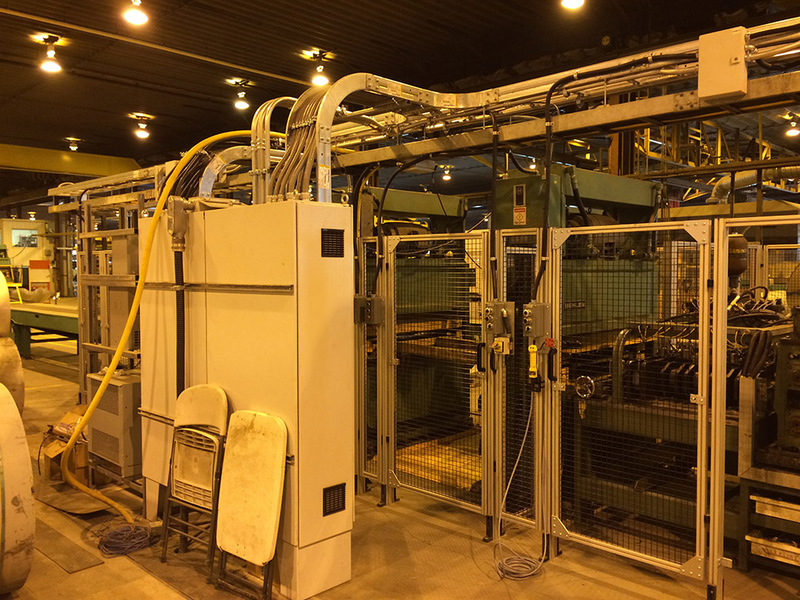 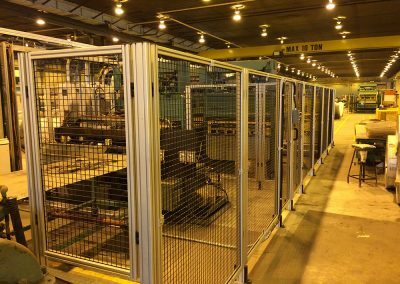 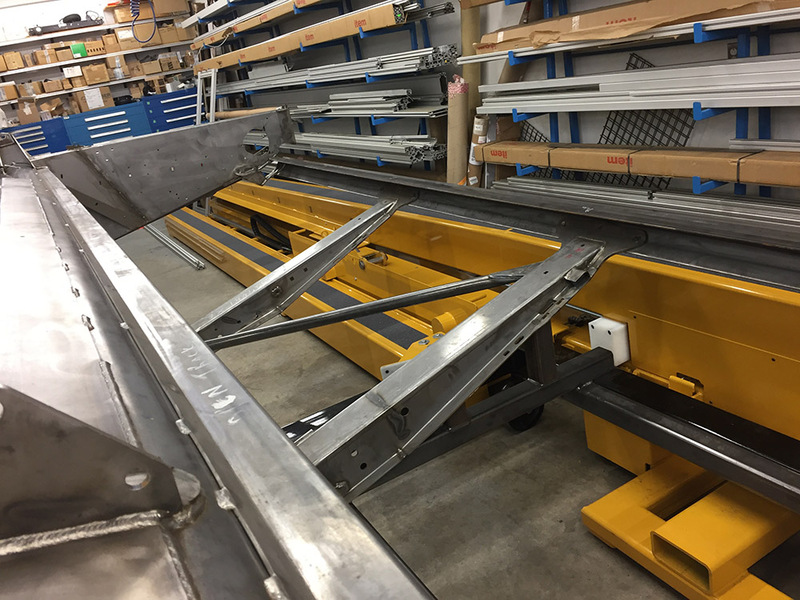 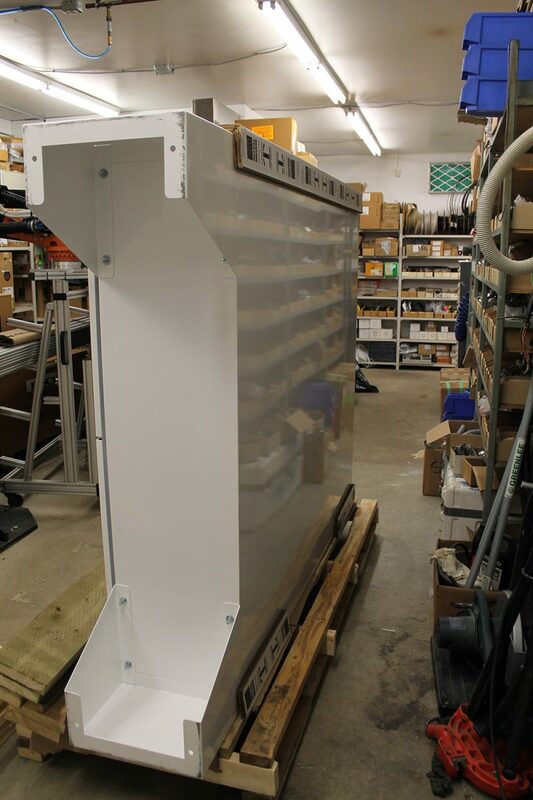 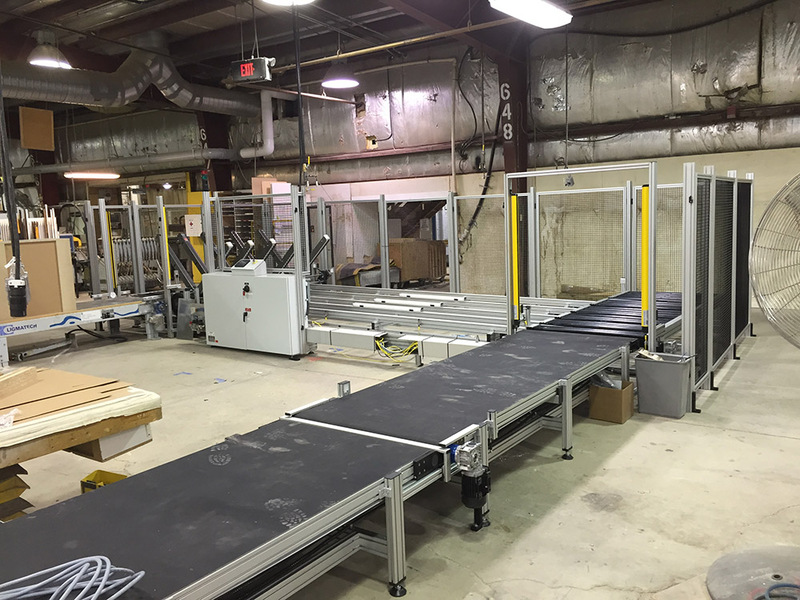 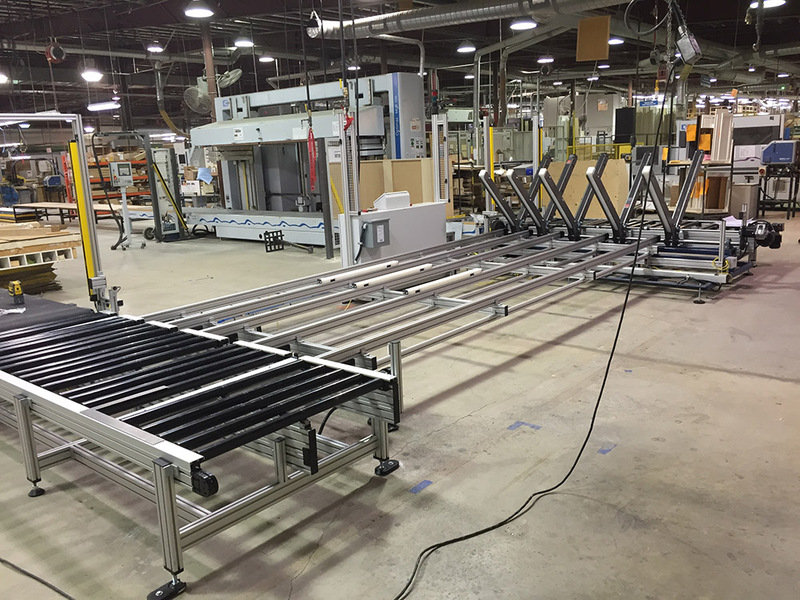 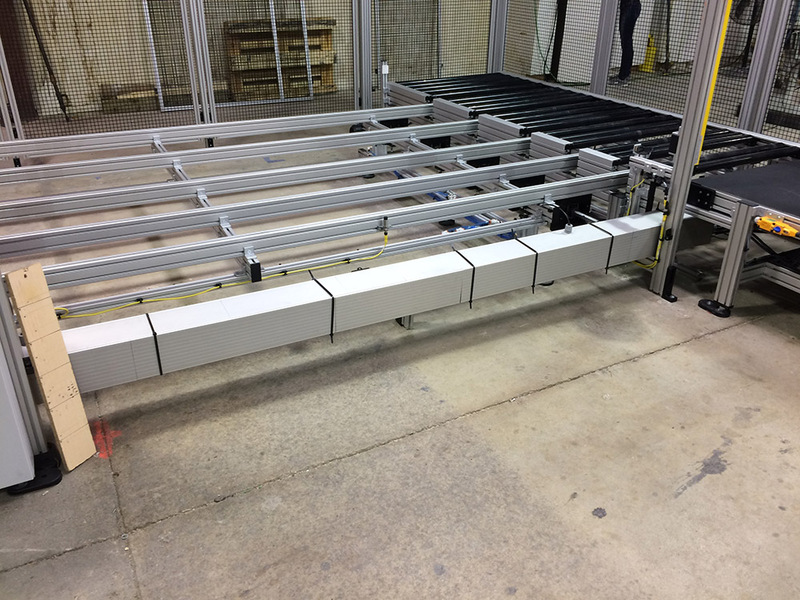 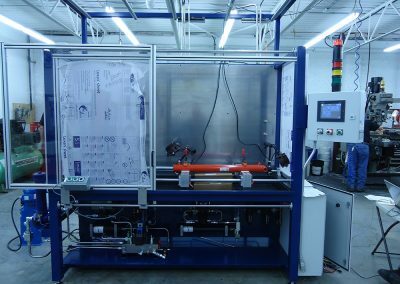 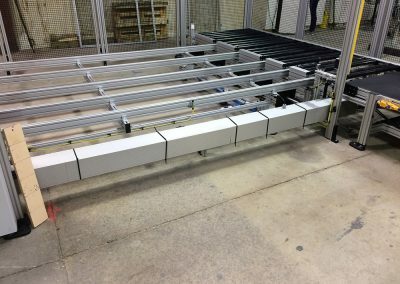 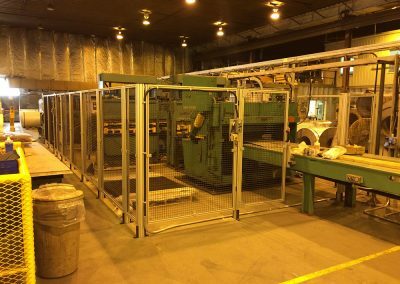 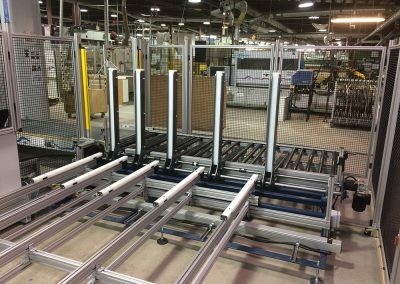 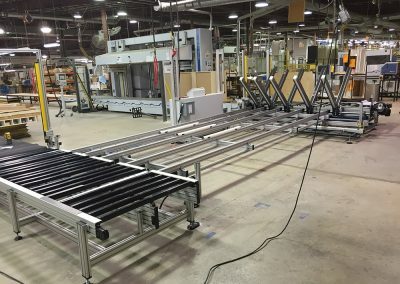 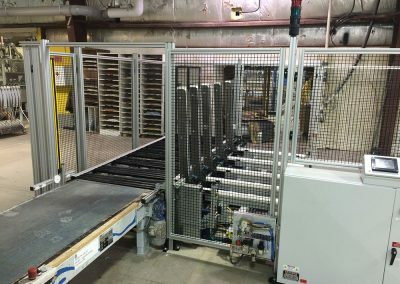 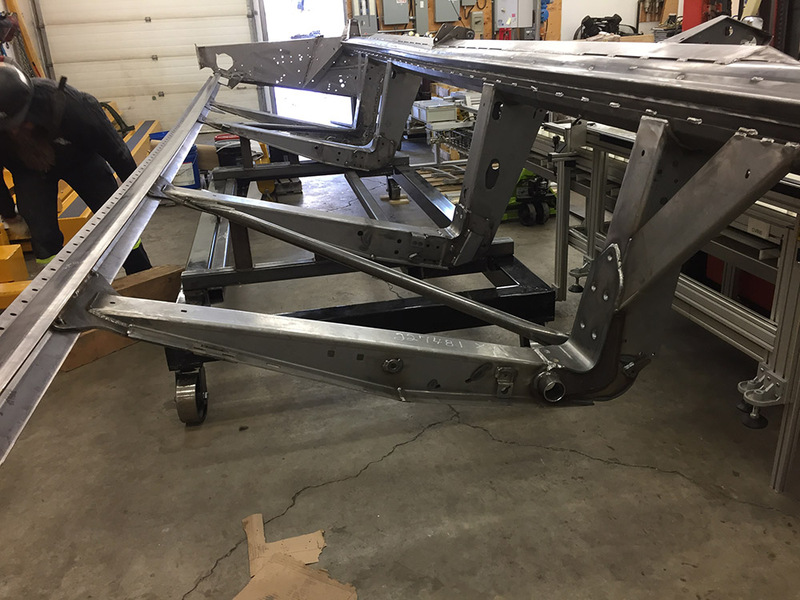 Our custom machine building involves mechanical design, fabrication, assembly, testing, service, and support of our automated machine solutions. 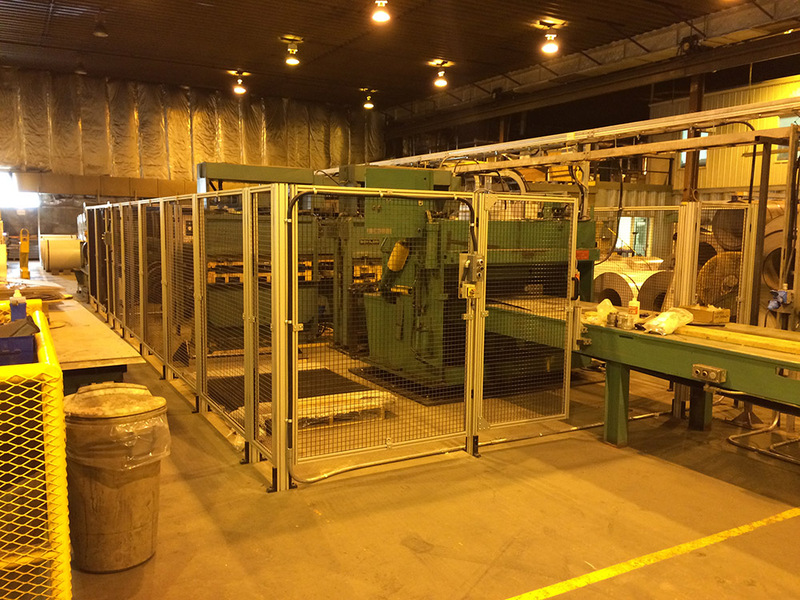 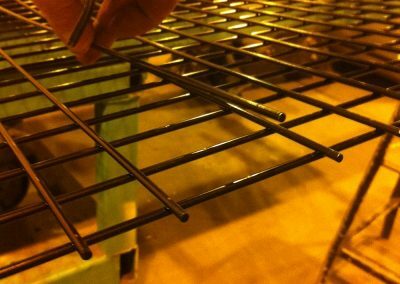 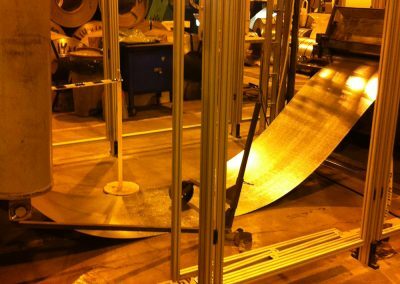 We have served the steel, lumber, aerospace, wire & cable, pharmaceutical, printing, medical and food processing industries as well as a number of specialized industries, including government agencies. 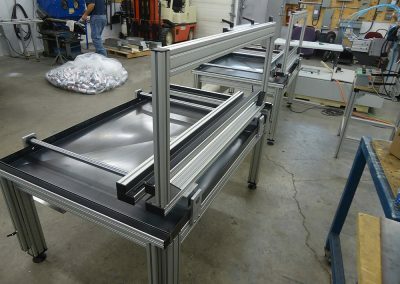 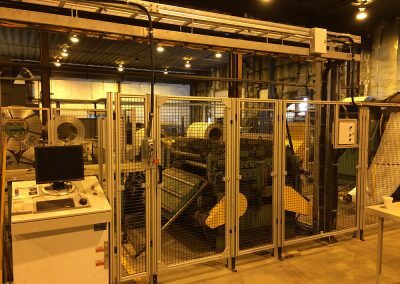 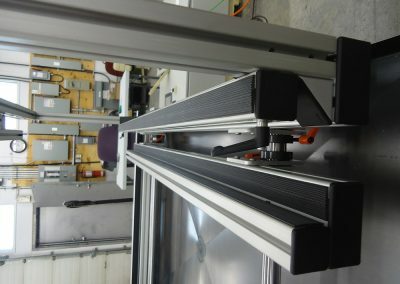 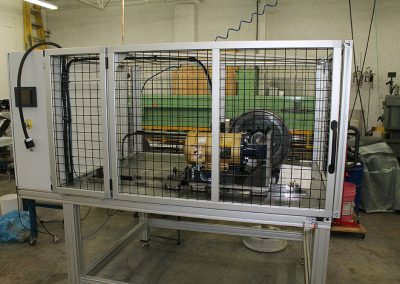 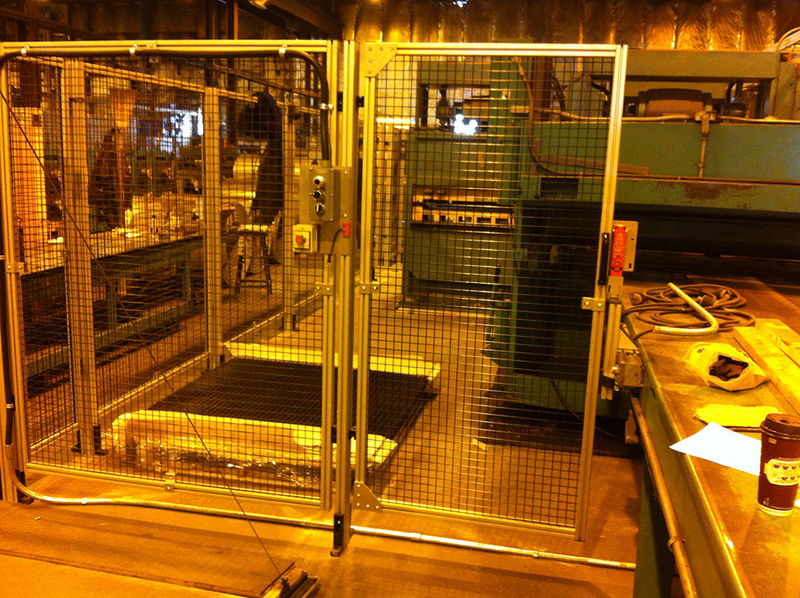 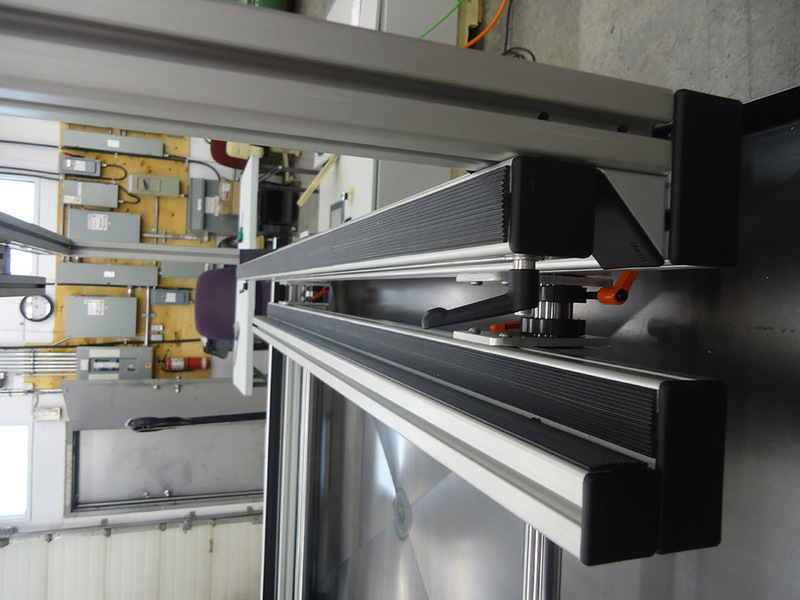 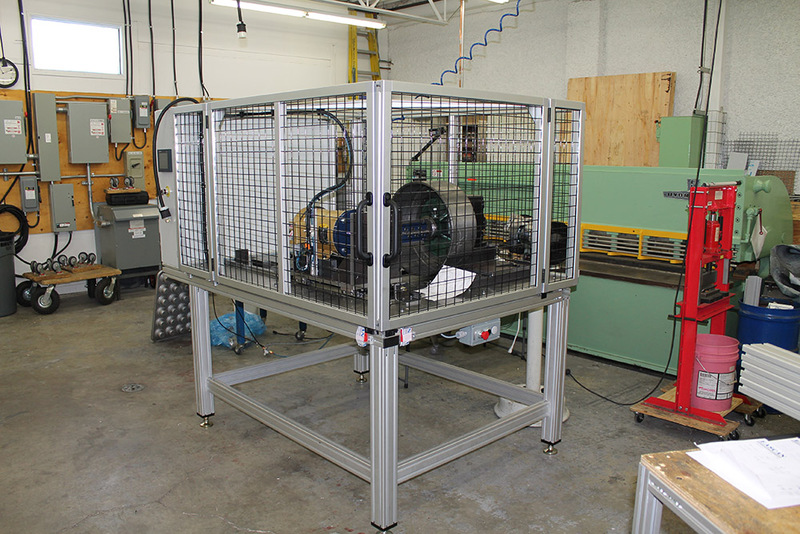 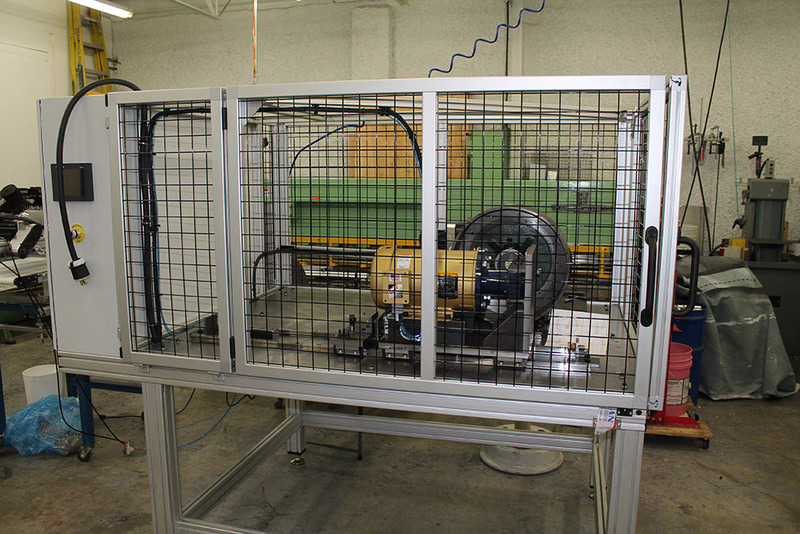 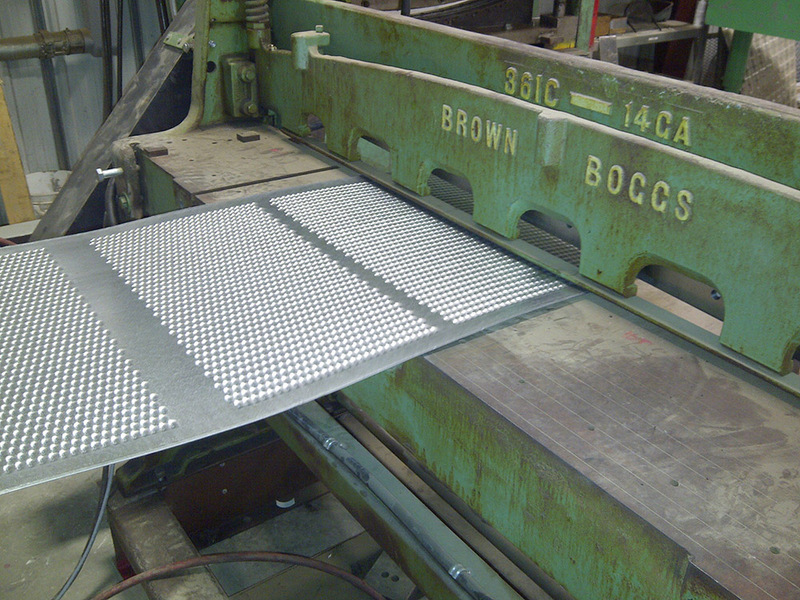 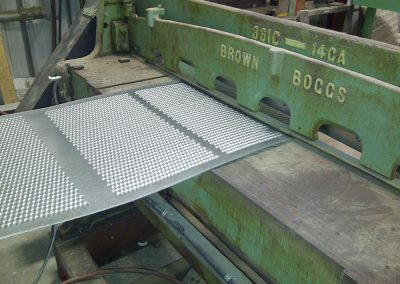 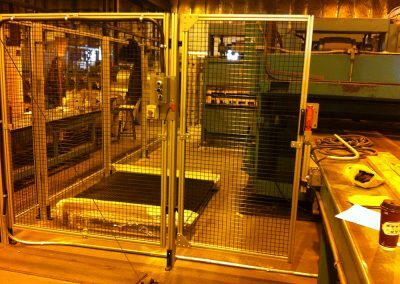 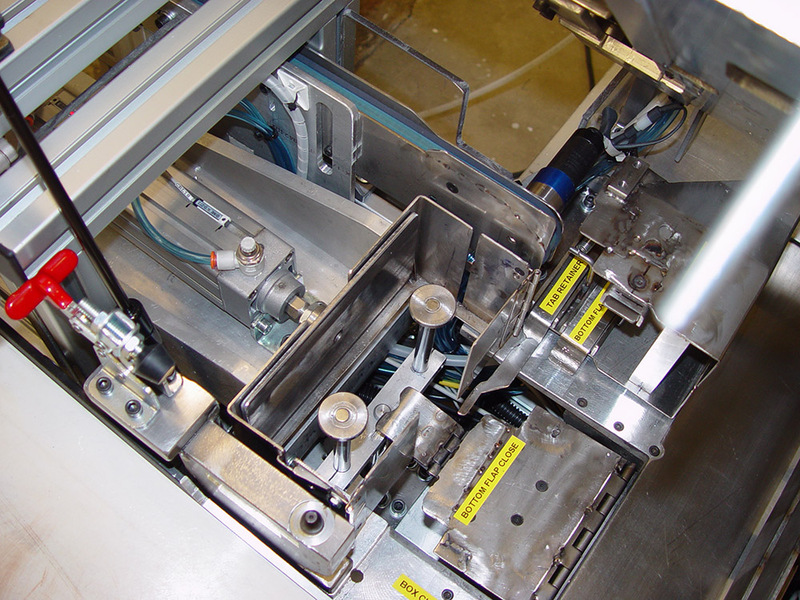 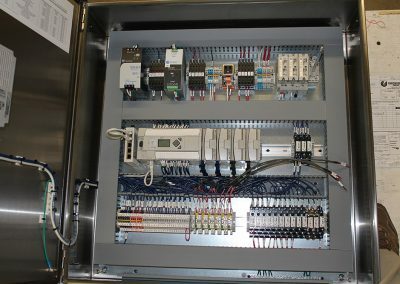 At Eascan Automation our experience in motion control systems brings out the best in our custom machine design. 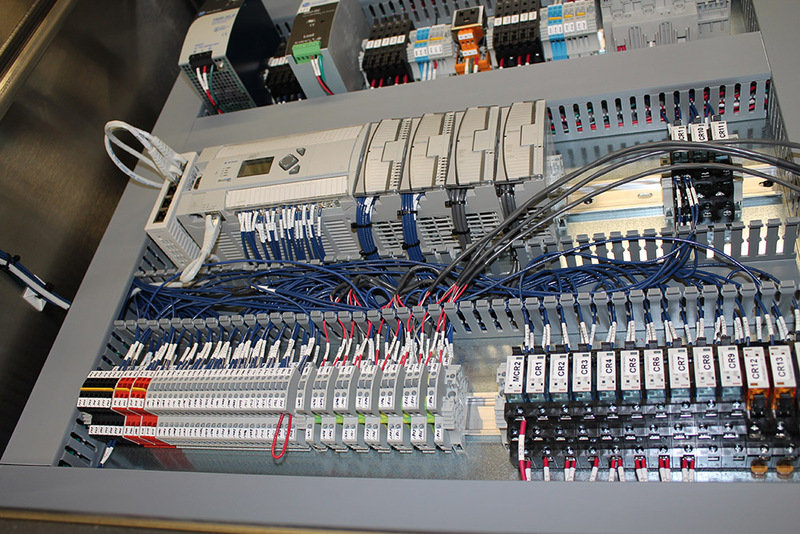 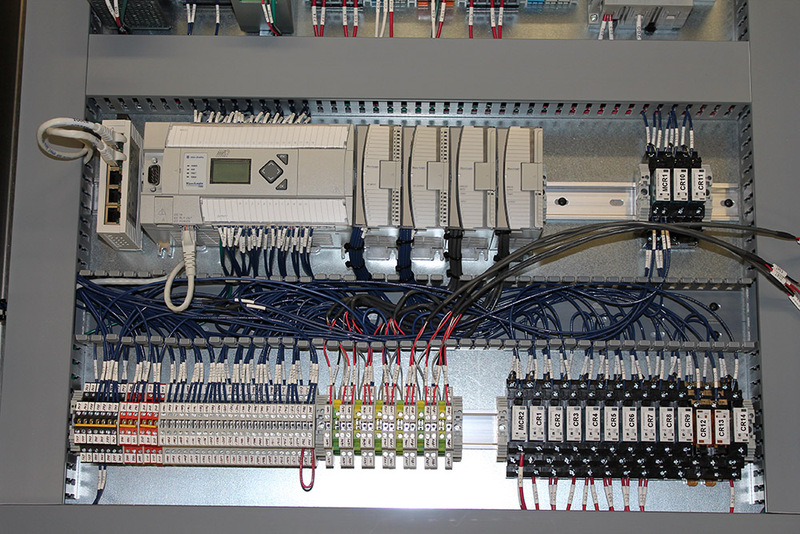 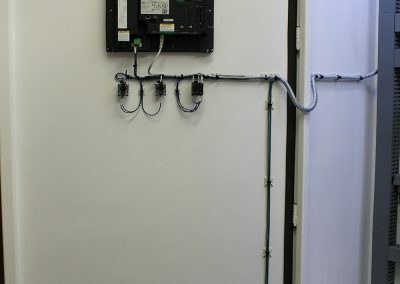 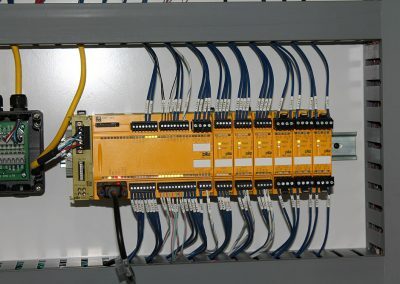 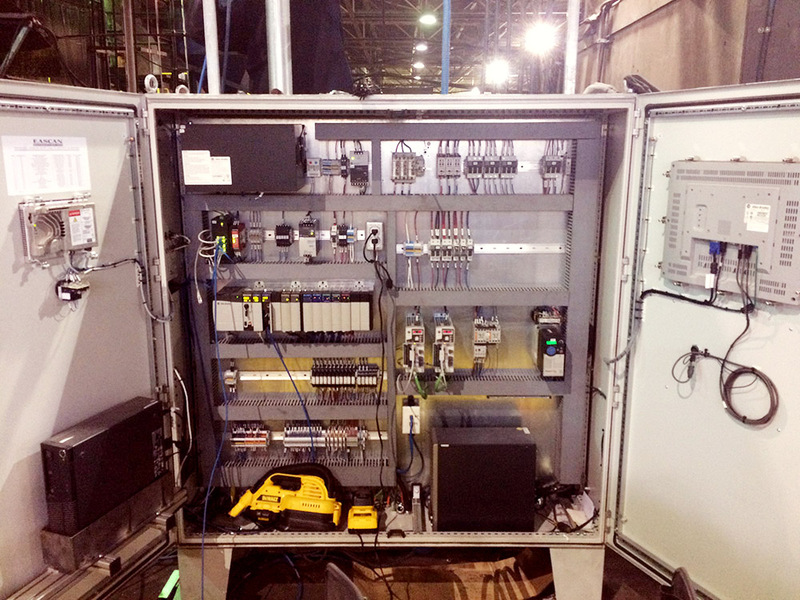 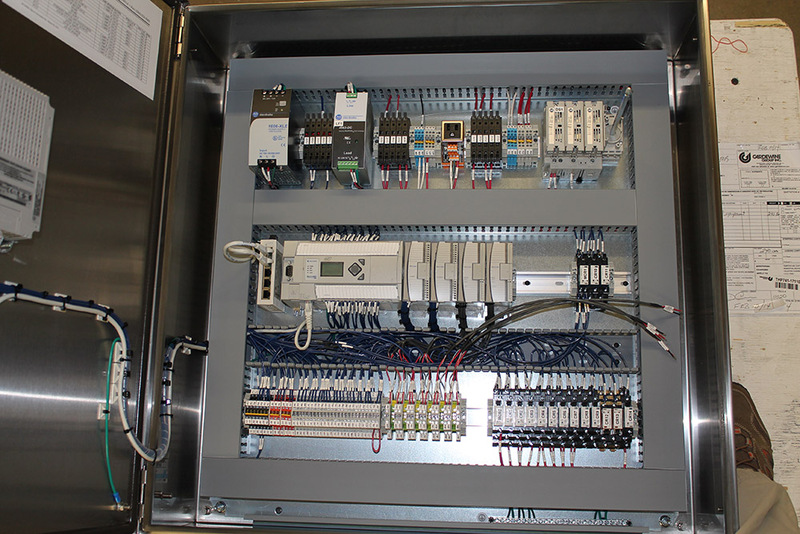 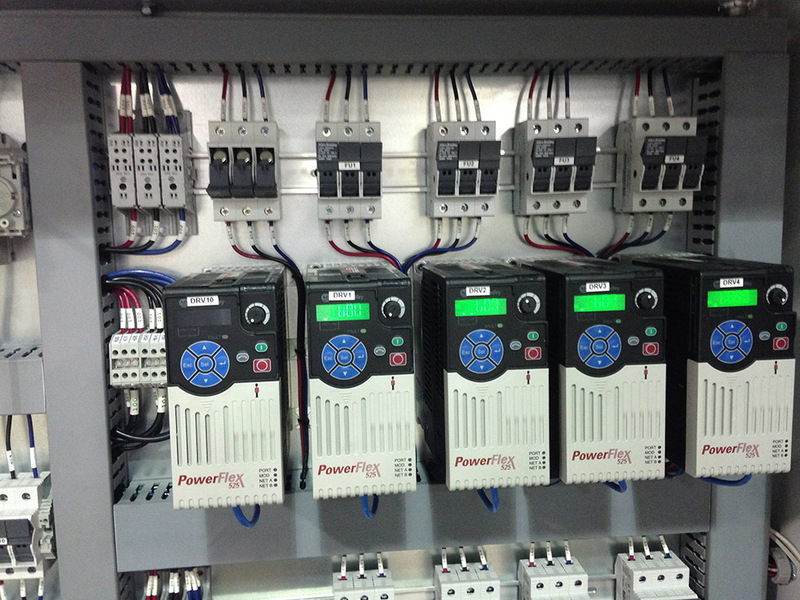 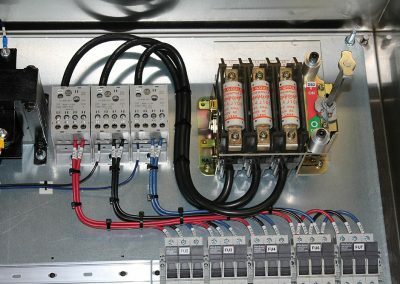 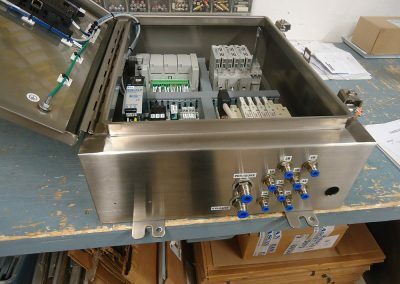 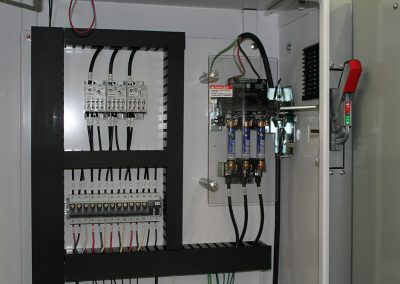 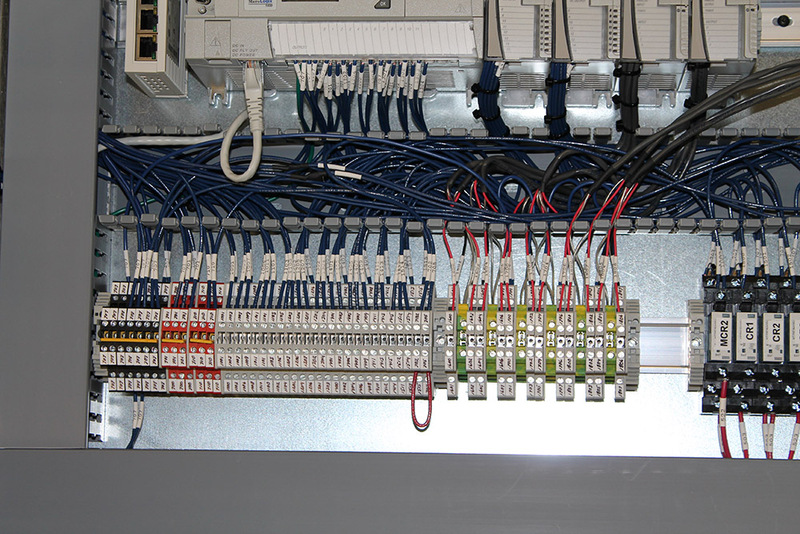 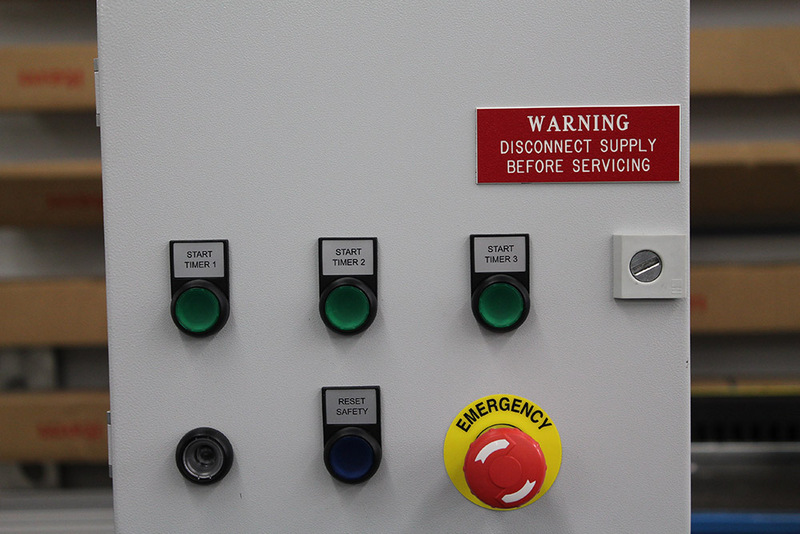 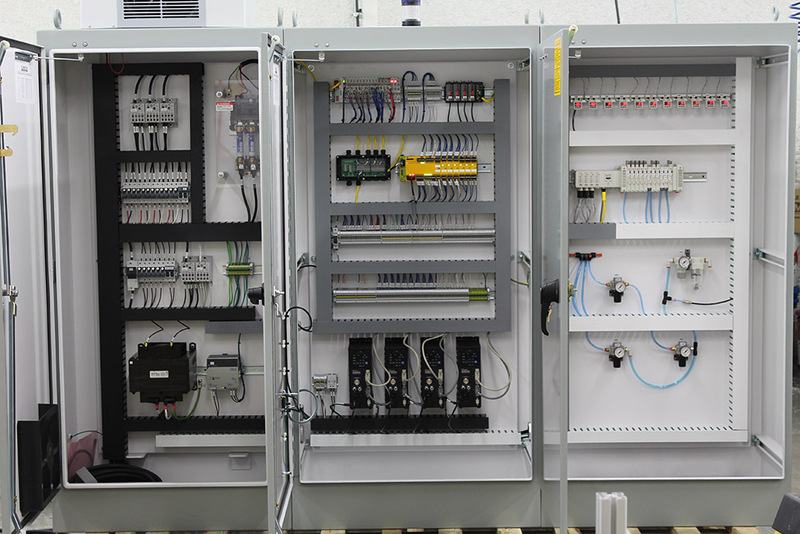 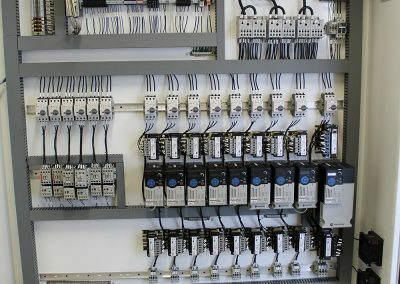 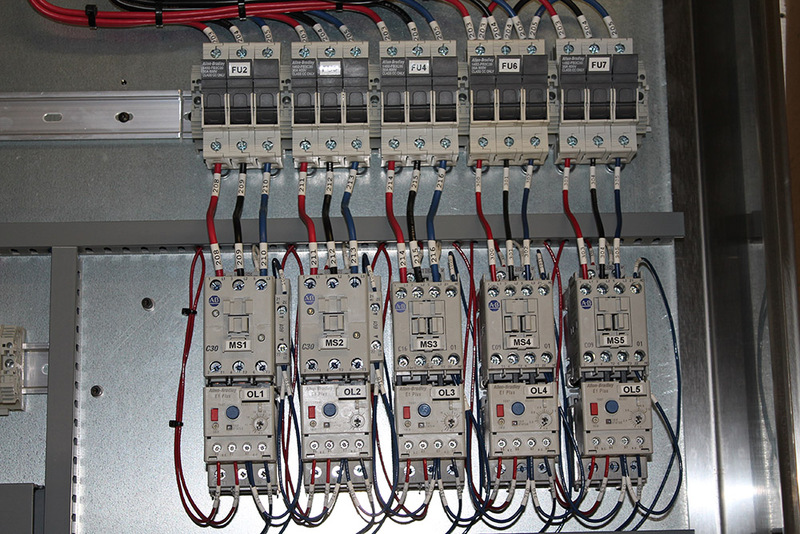 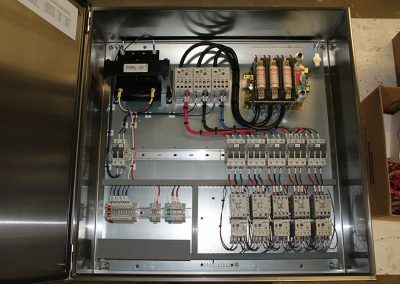 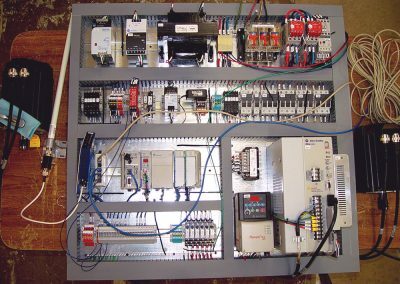 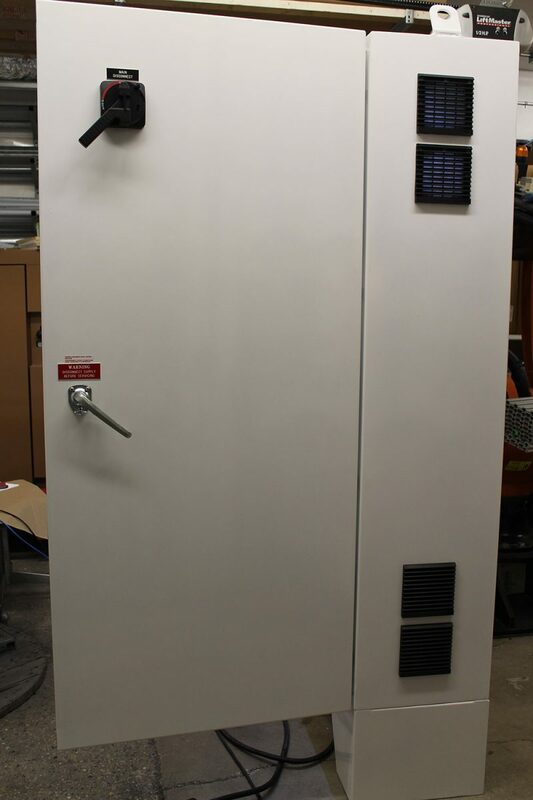 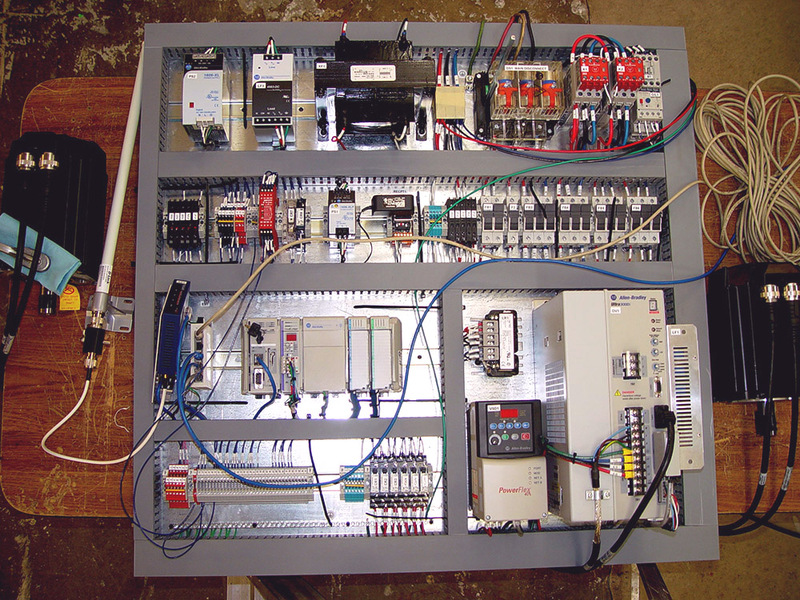 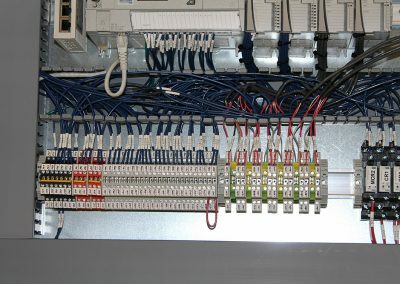 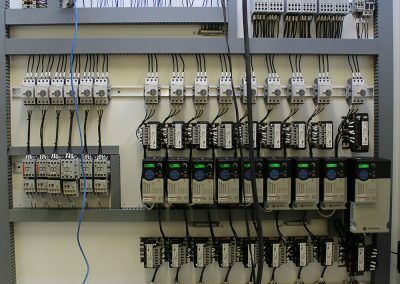 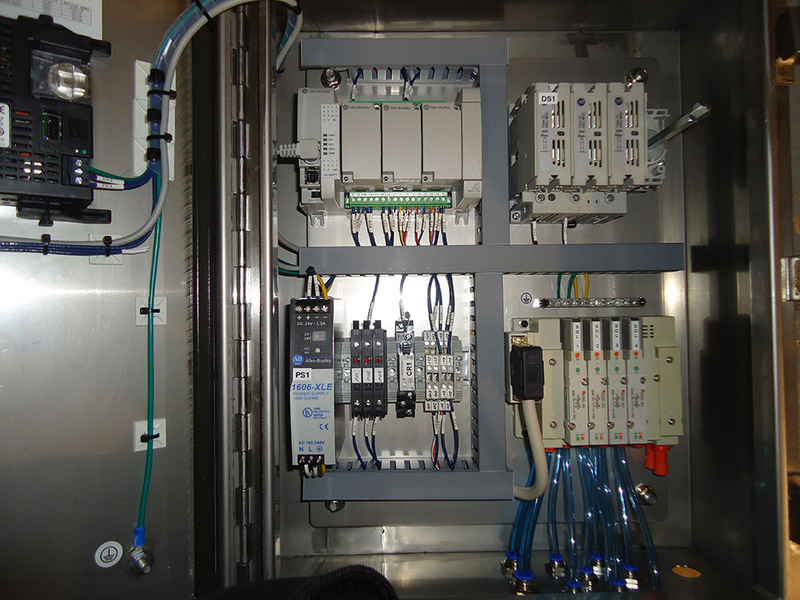 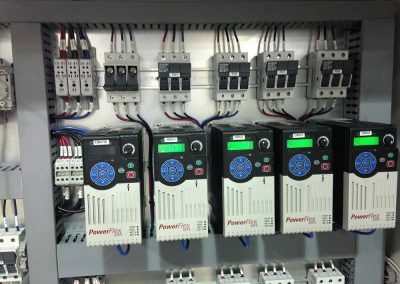 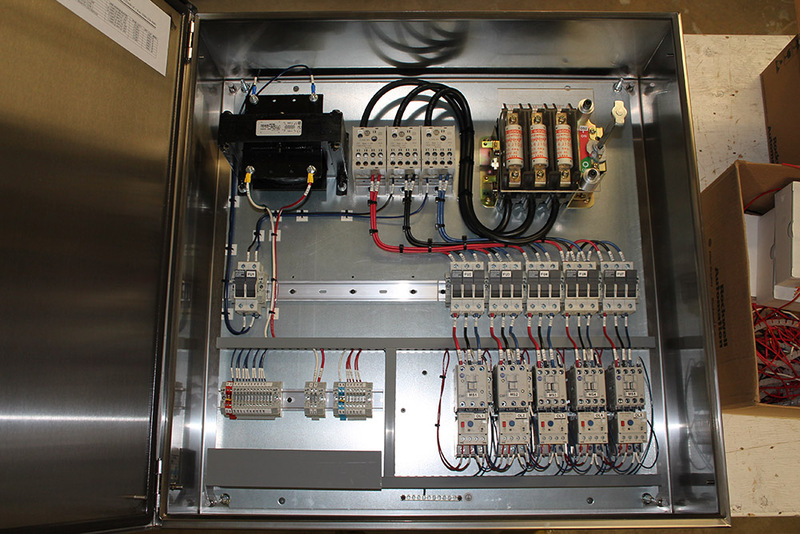 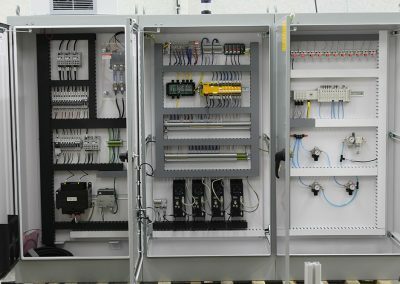 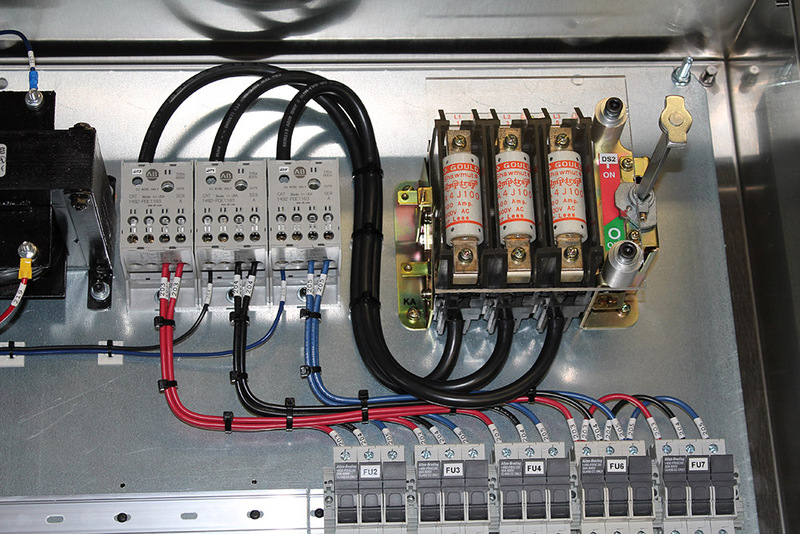 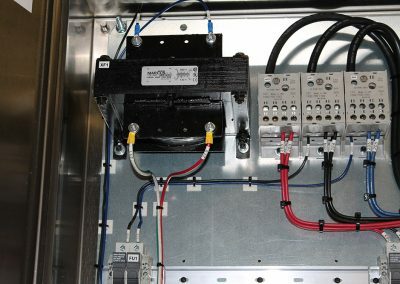 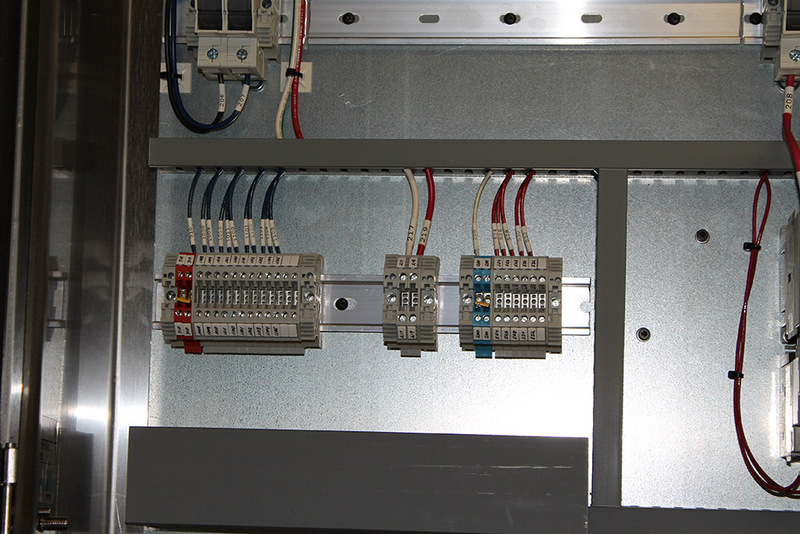 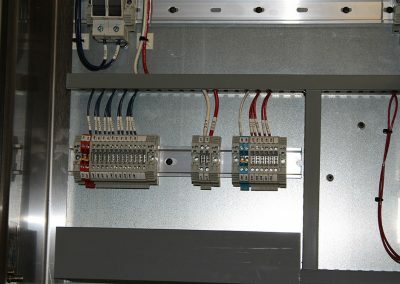 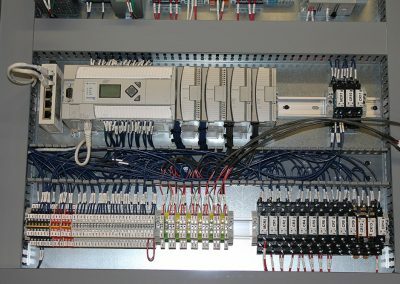 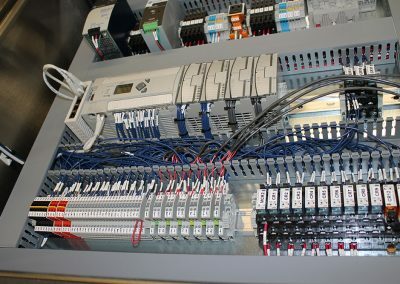 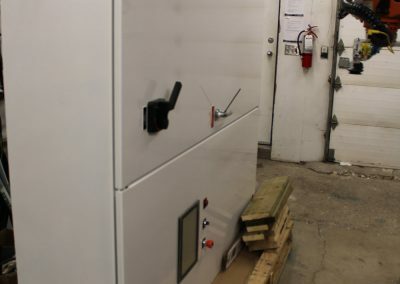 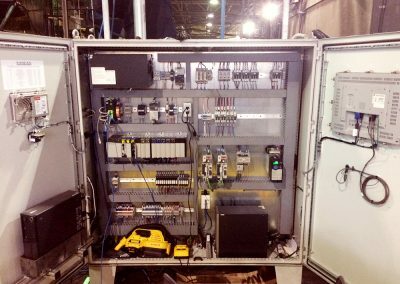 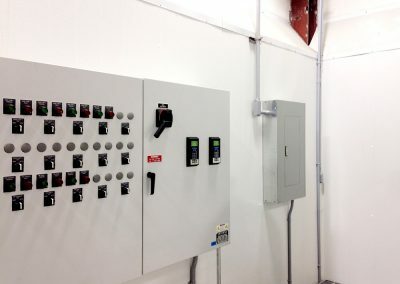 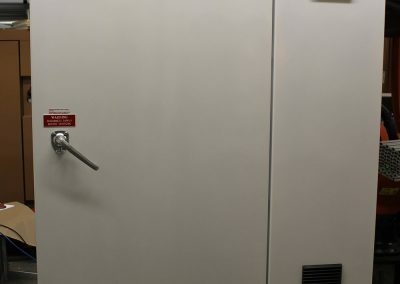 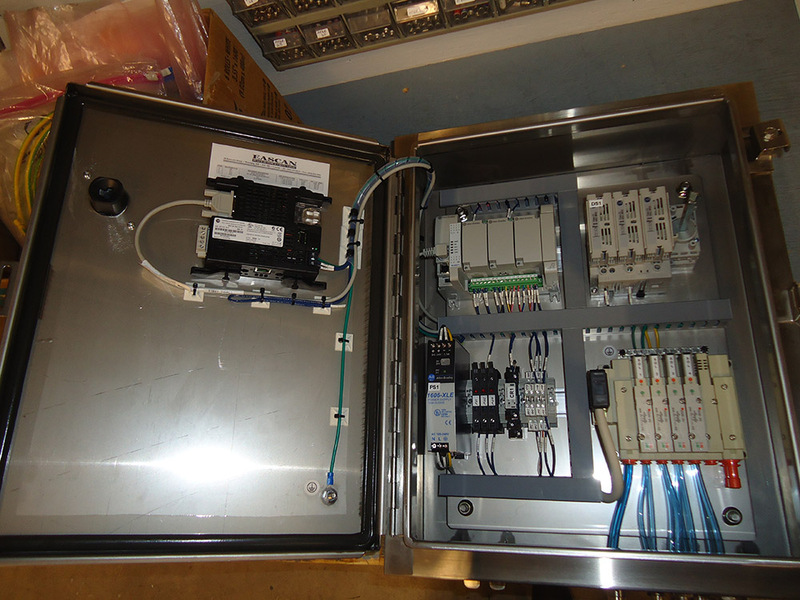 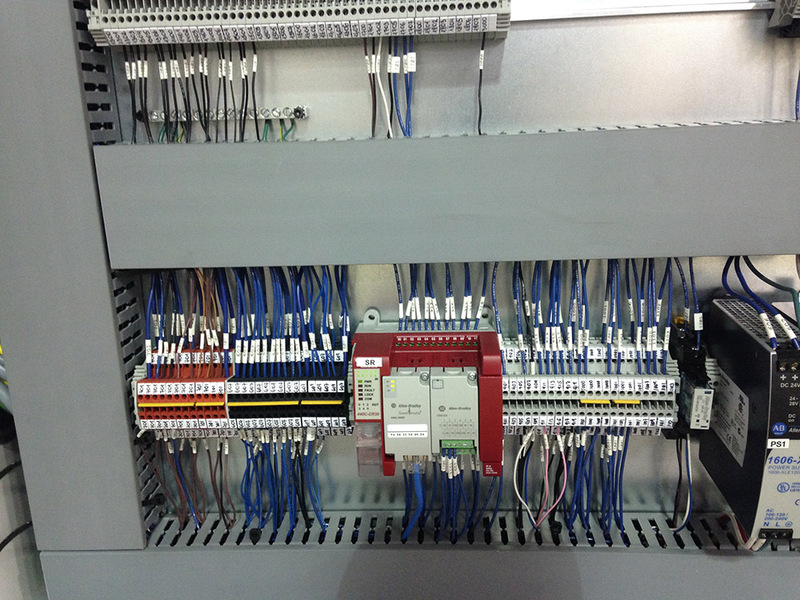 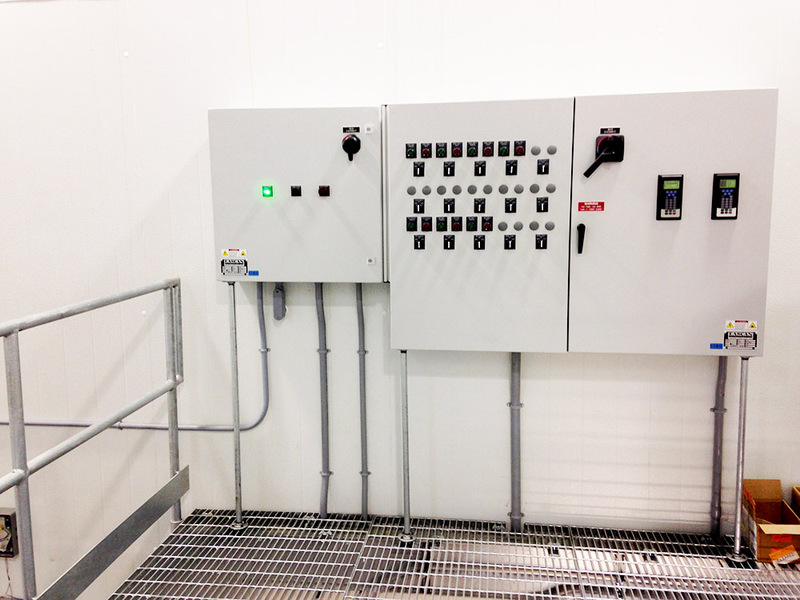 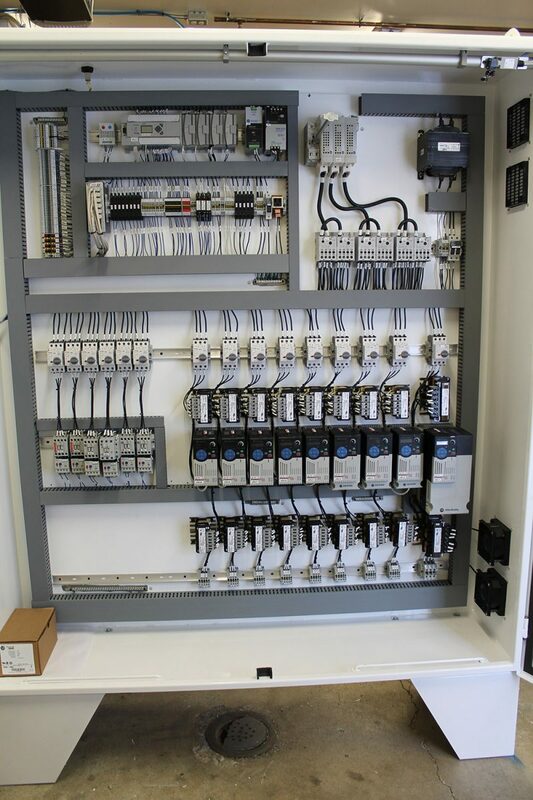 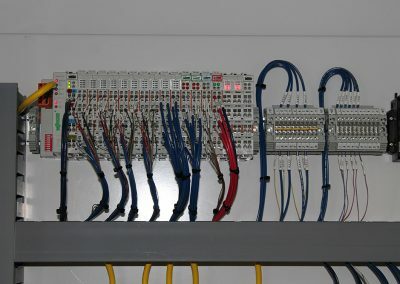 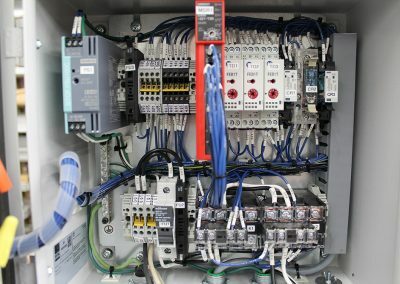 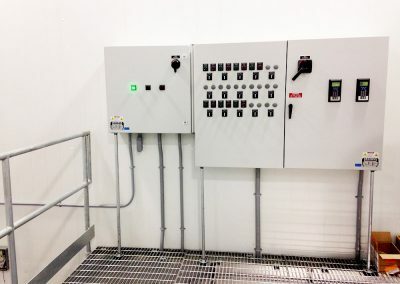 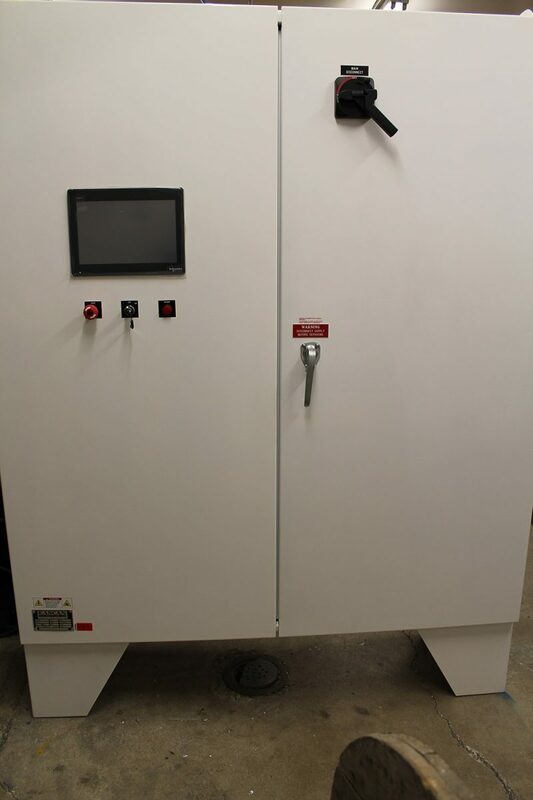 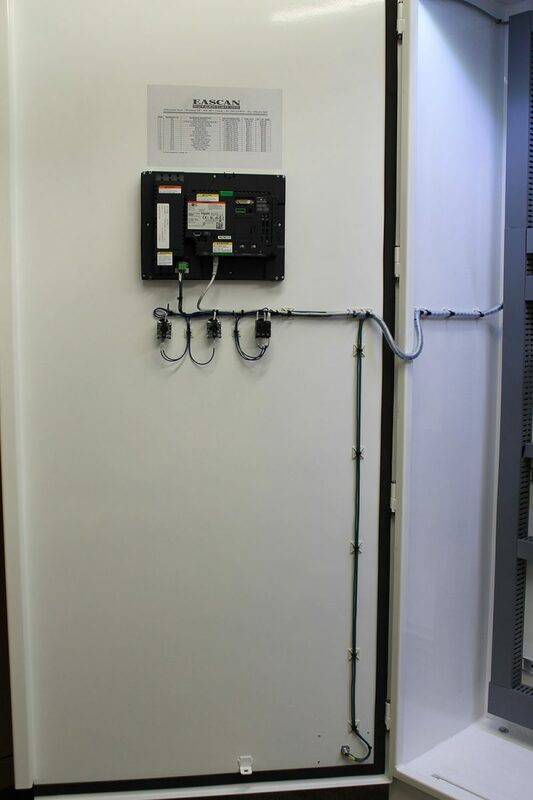 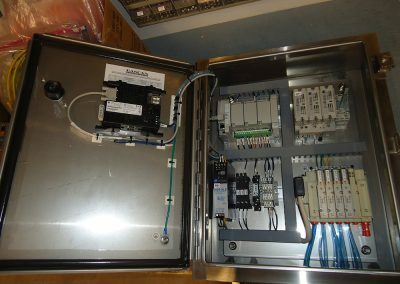 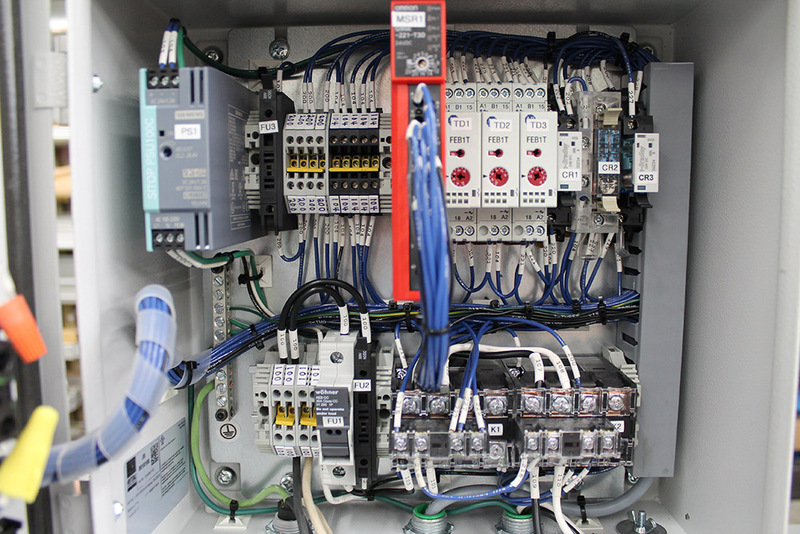 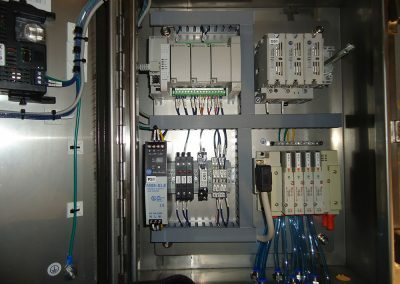 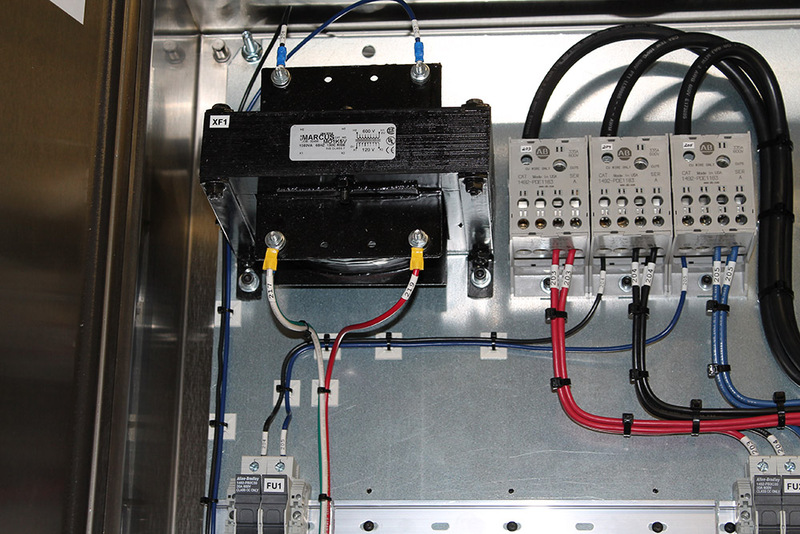 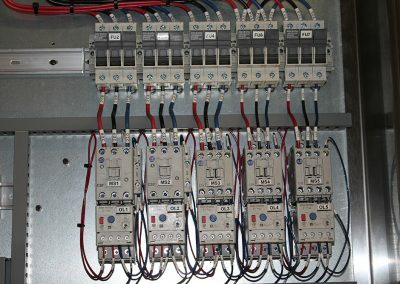 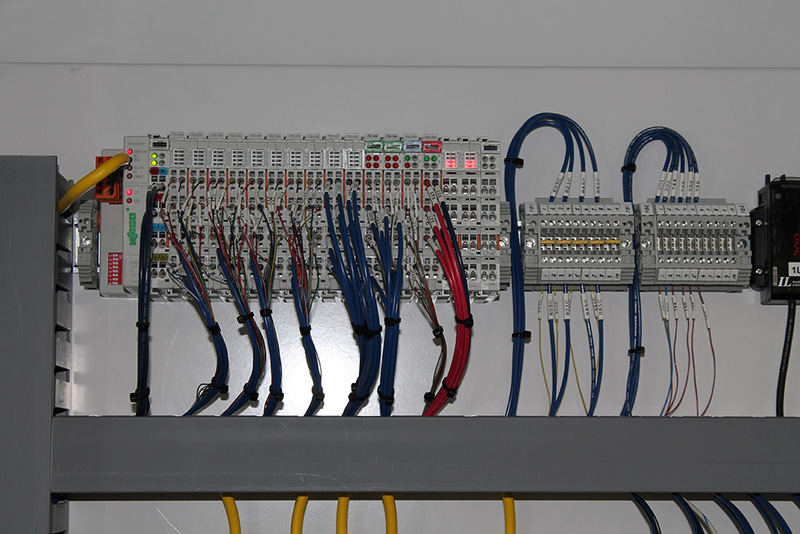 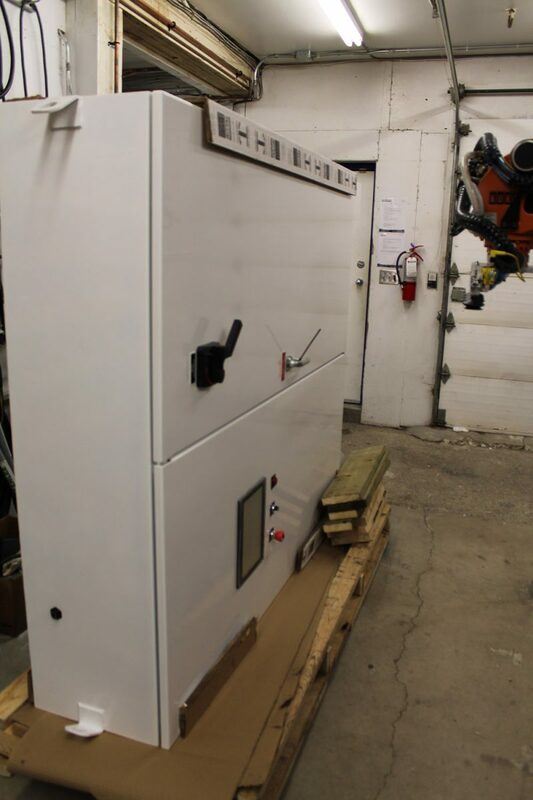 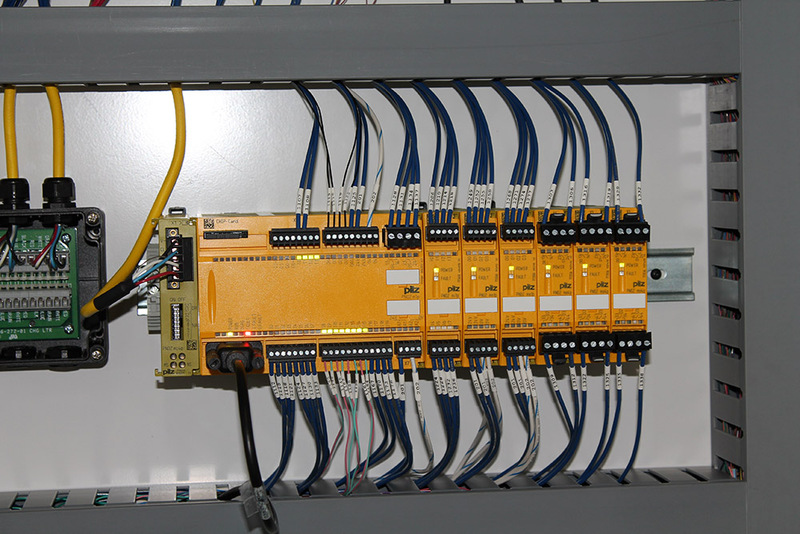 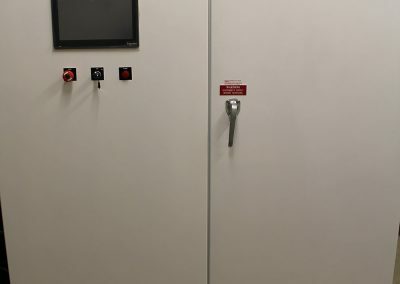 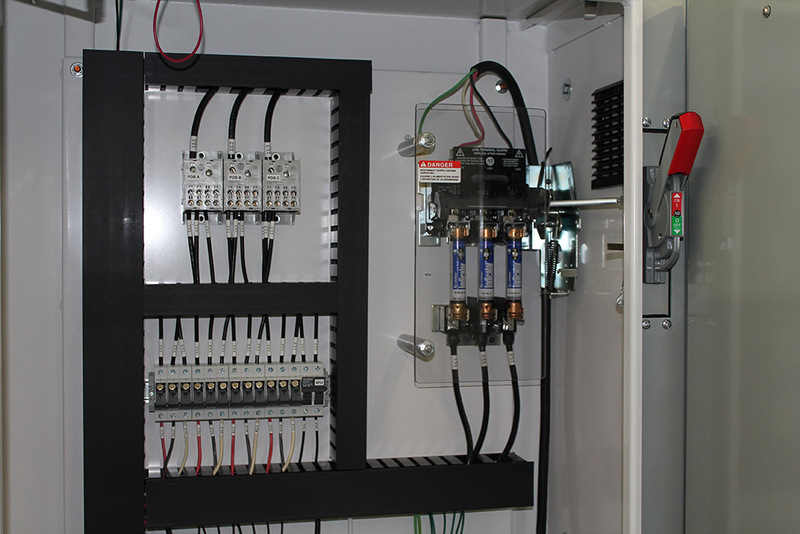 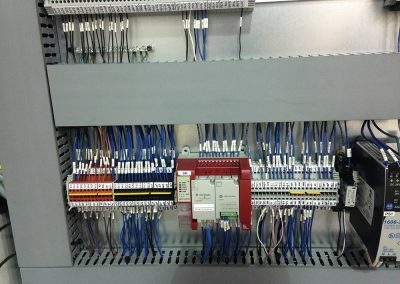 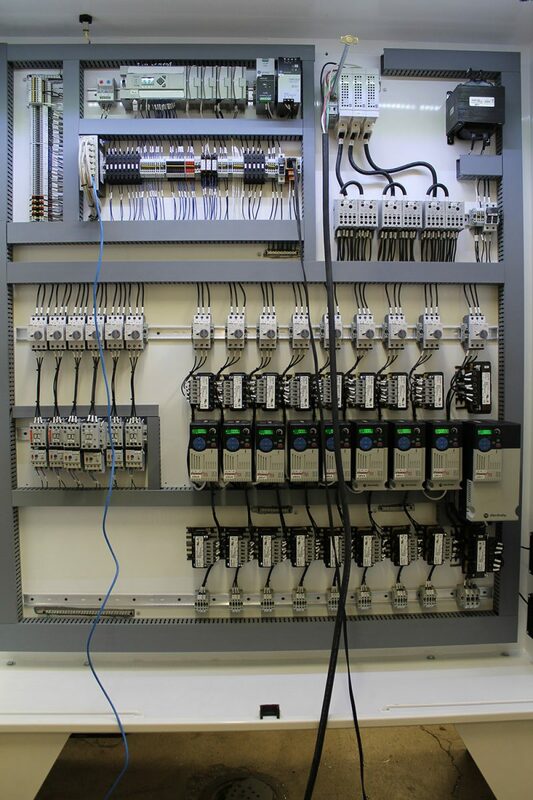 Other programmable controllers including variable speed drives, all types of electrical sensors along with operator interfaces are some examples of the hardware that we incorporate into our electrical control systems. 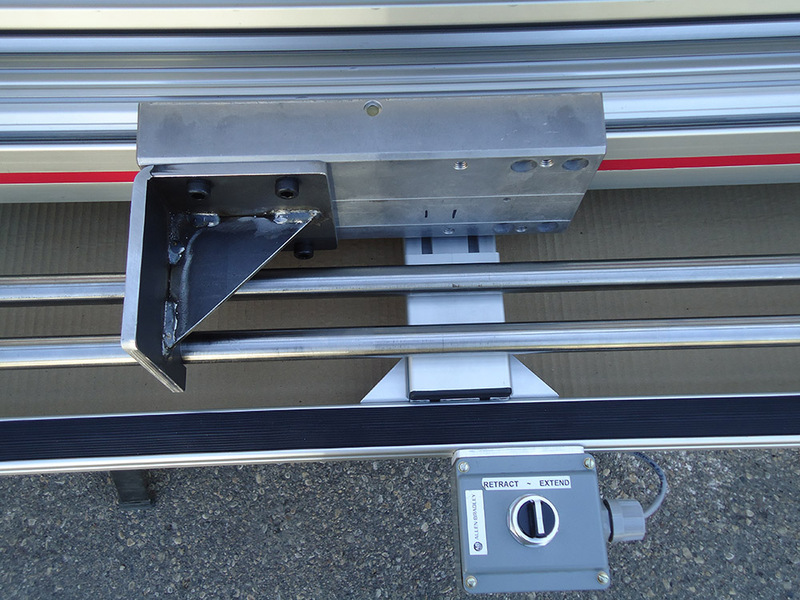 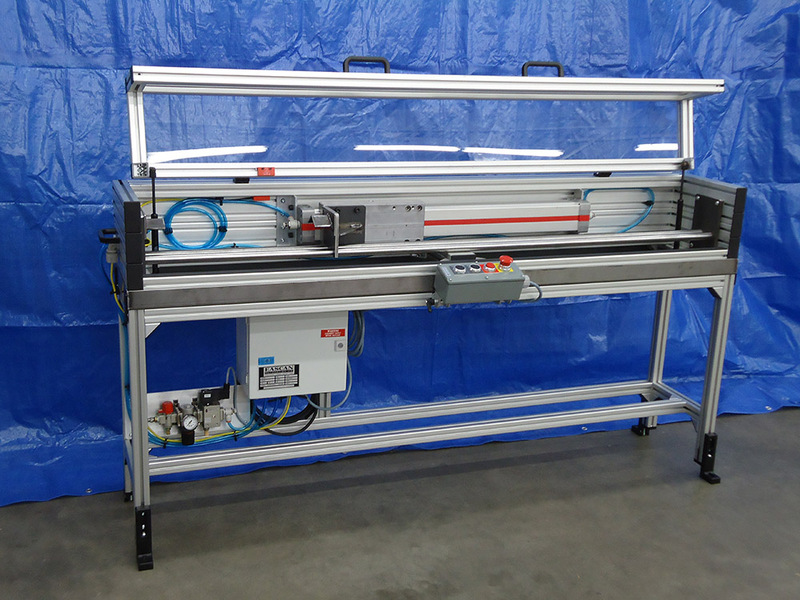 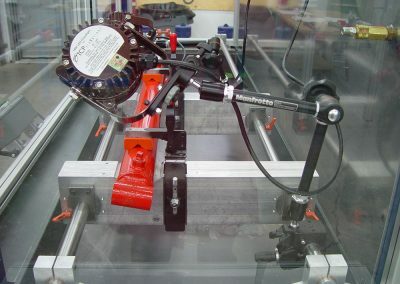 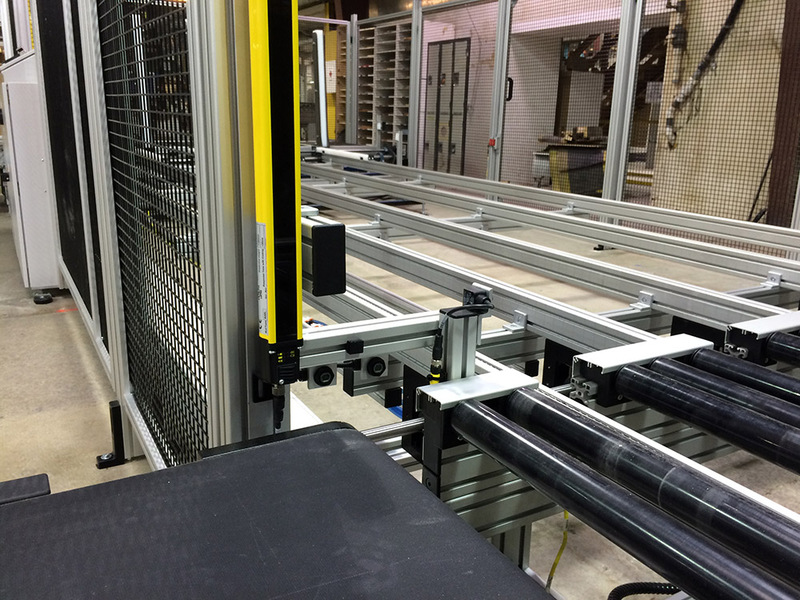 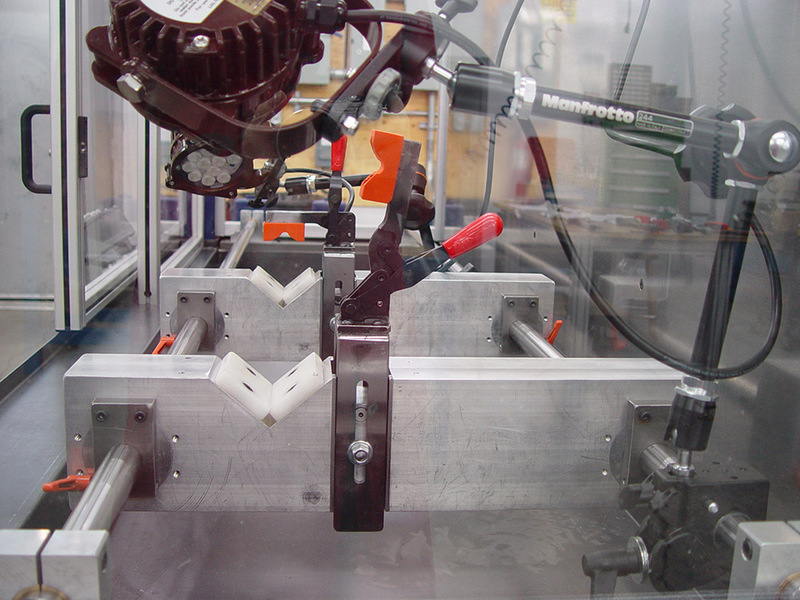 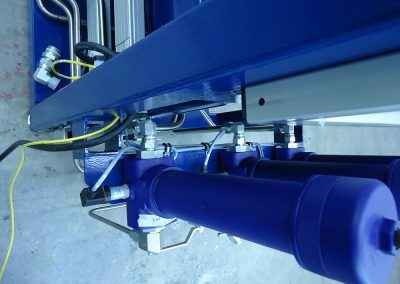 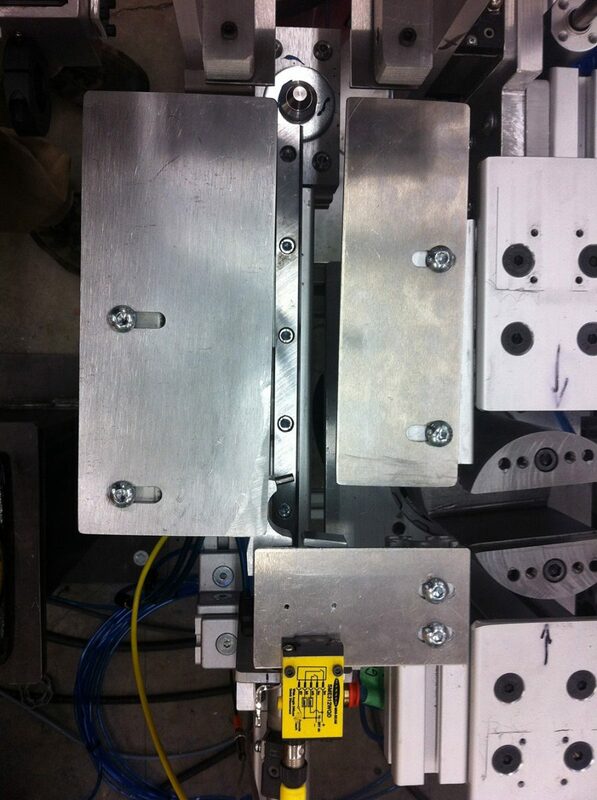 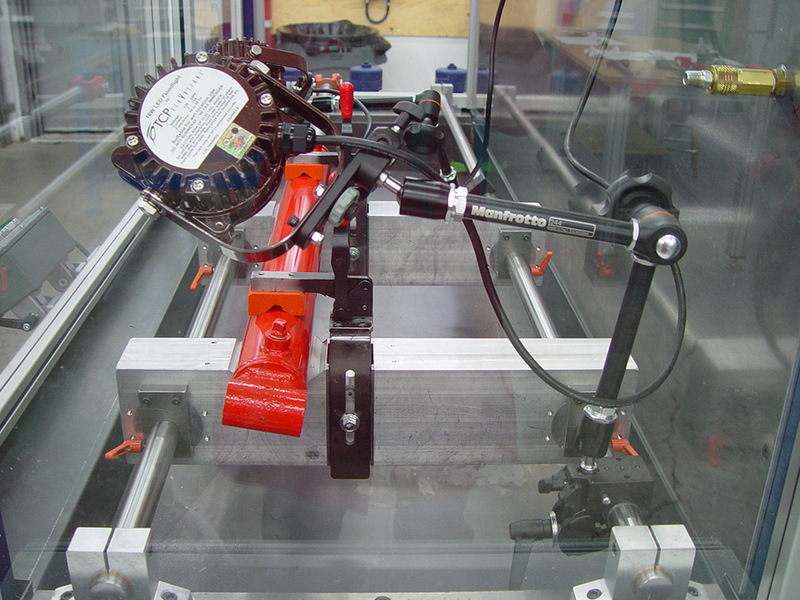 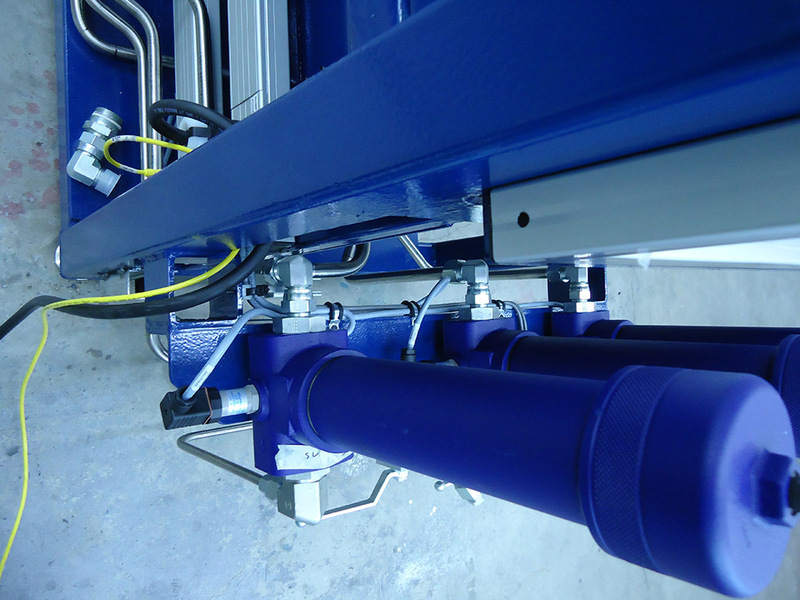 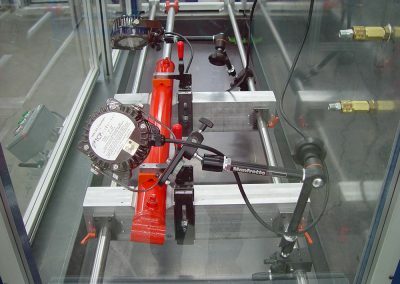 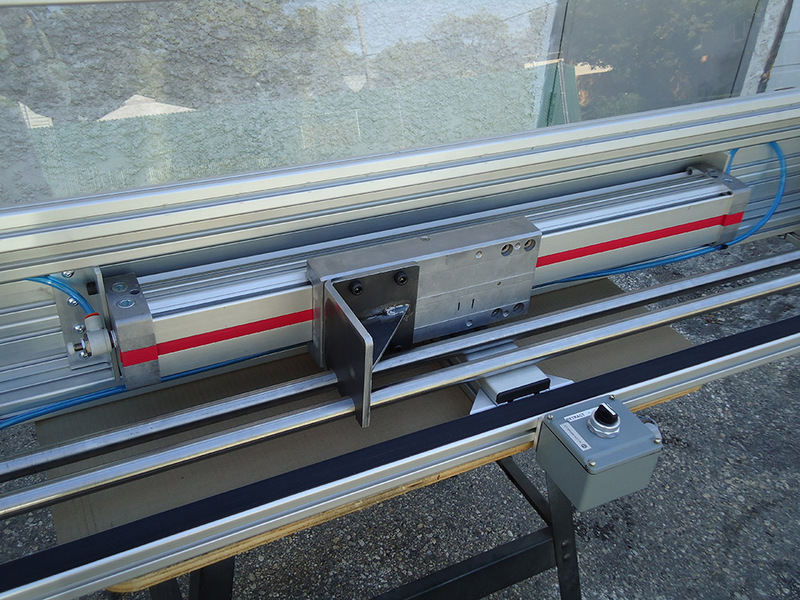 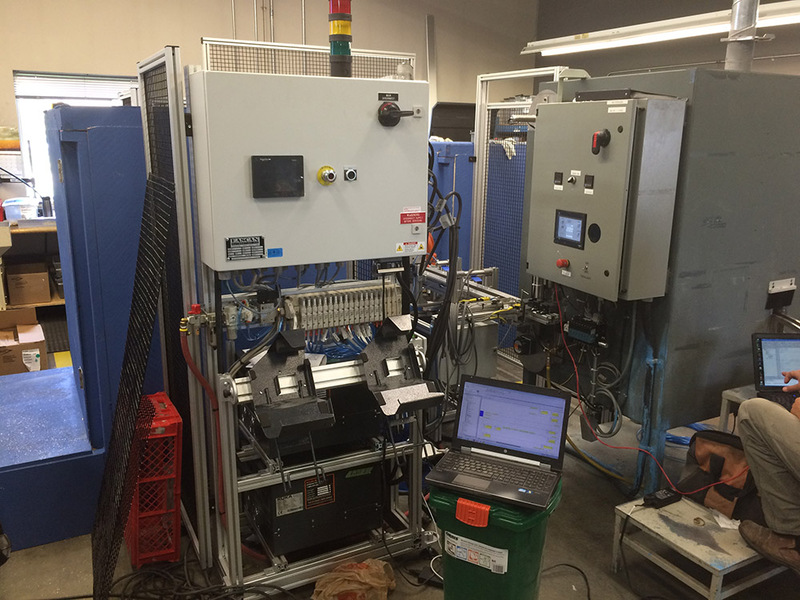 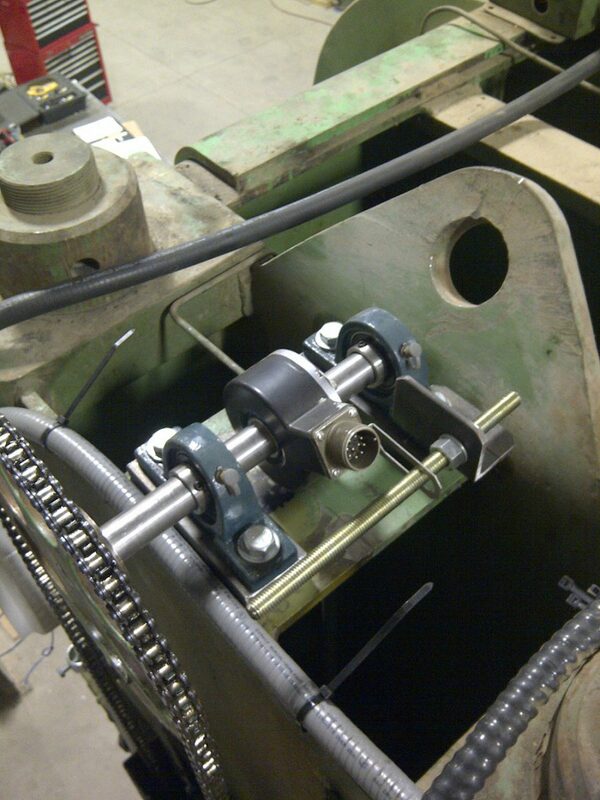 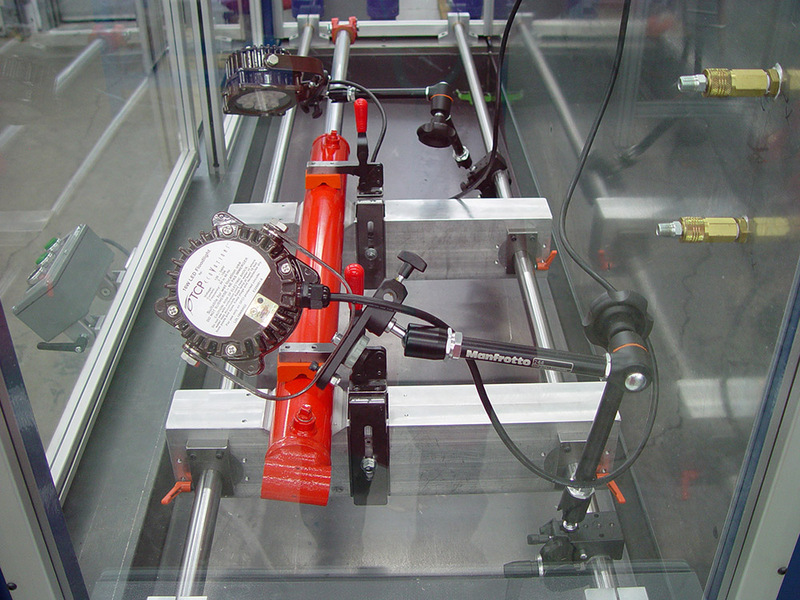 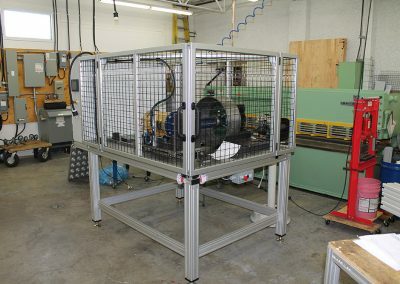 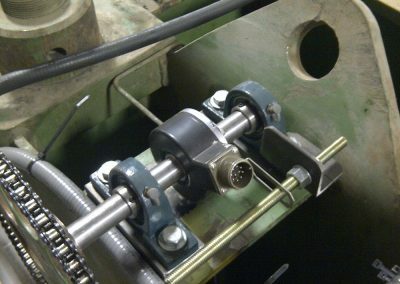 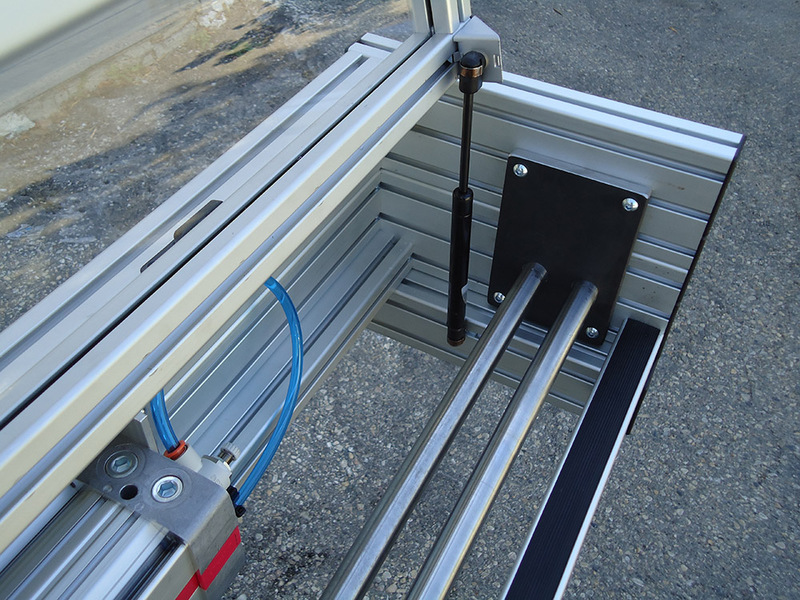 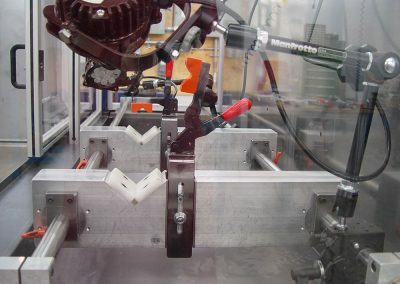 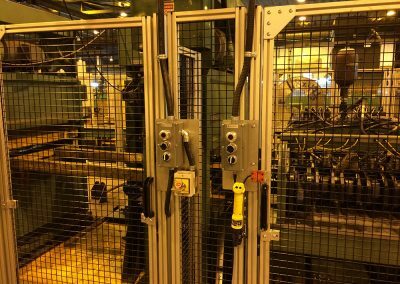 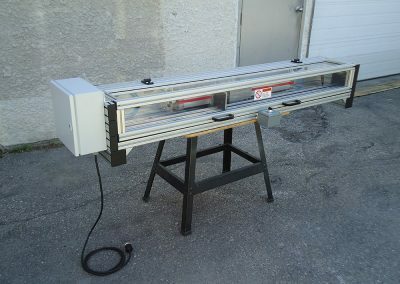 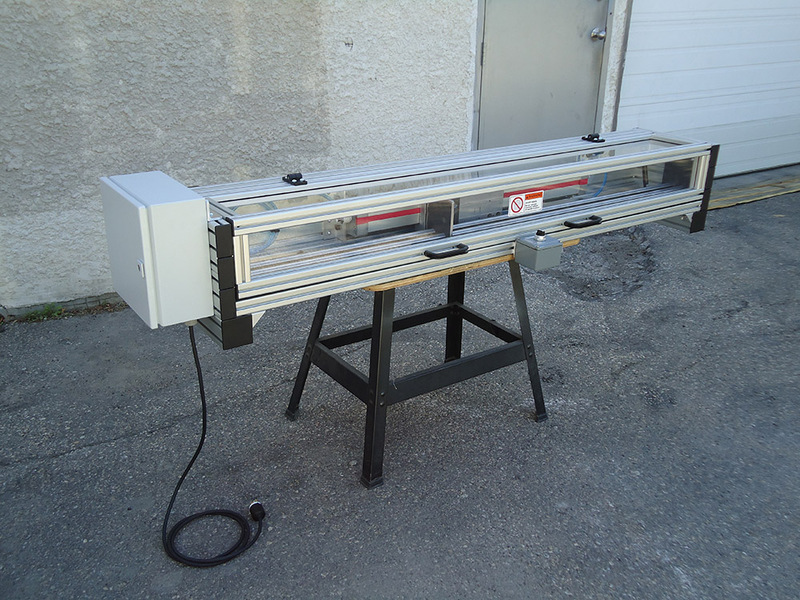 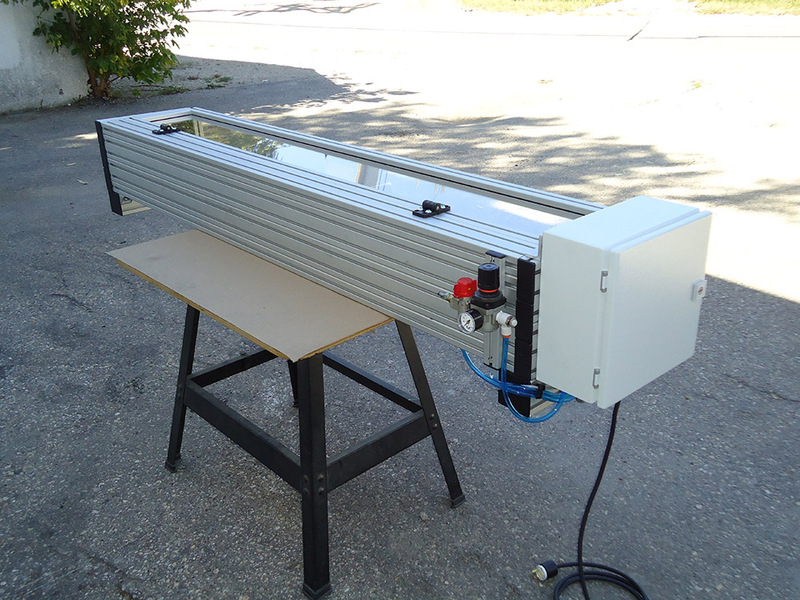 In motion control we use both servomotors and hydraulics for speed and/or position control. 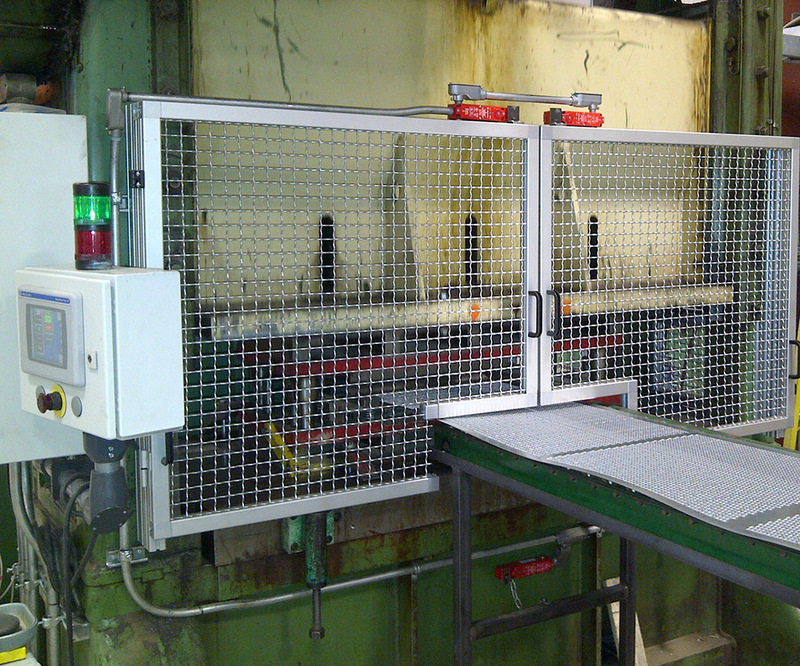 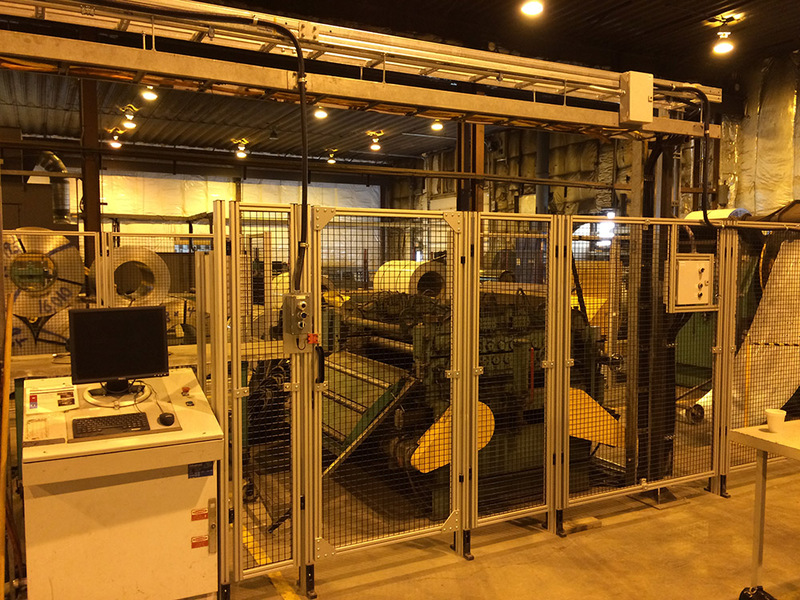 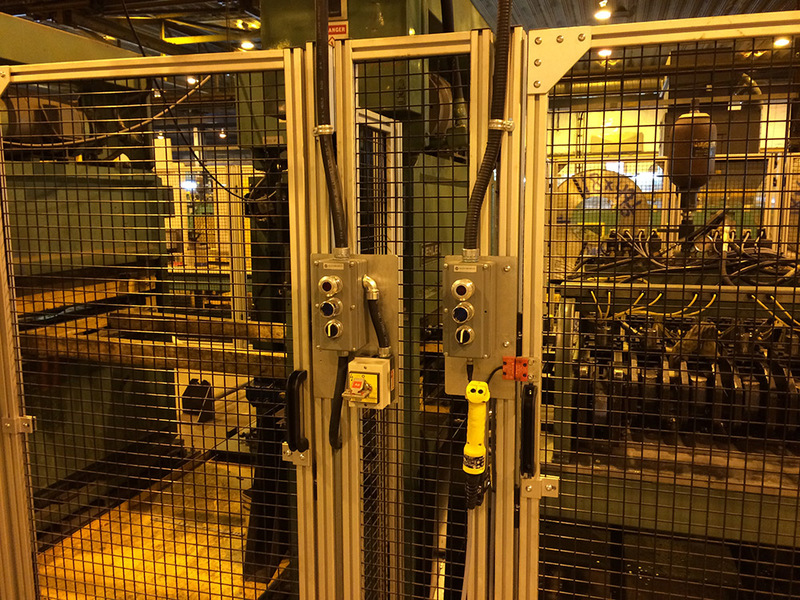 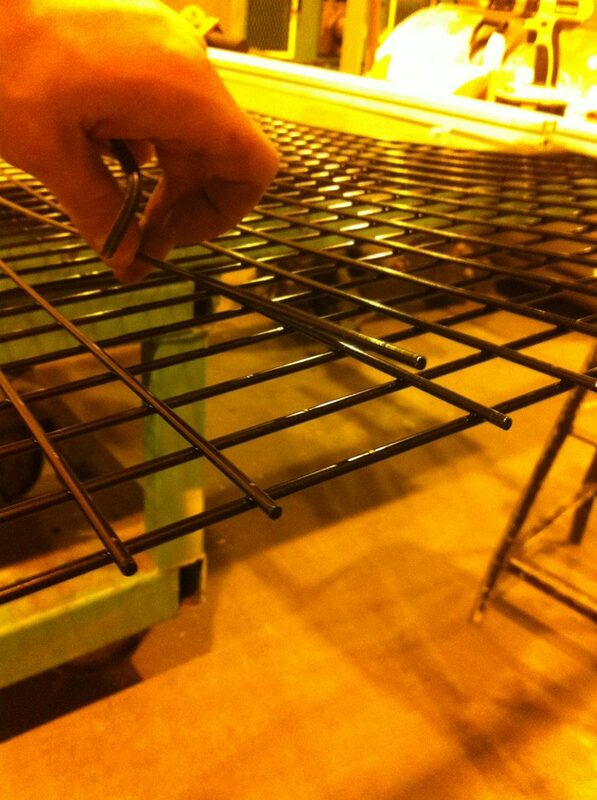 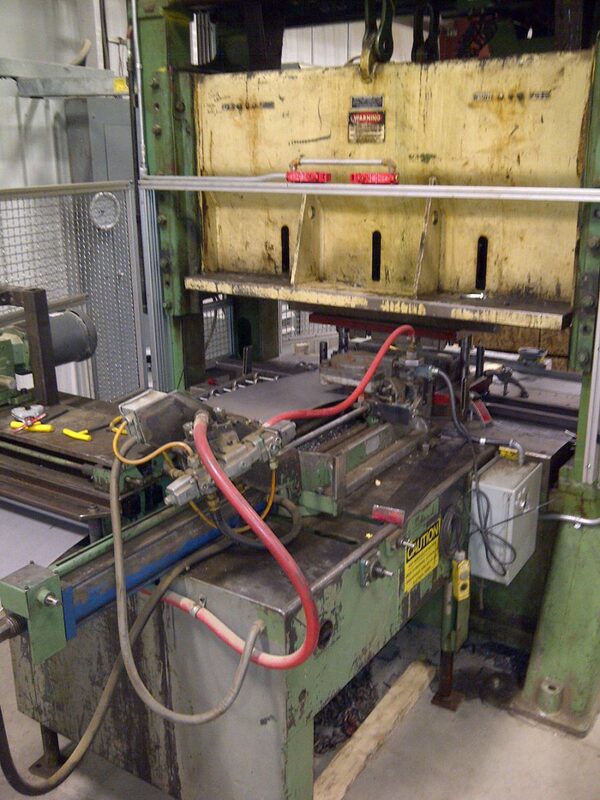 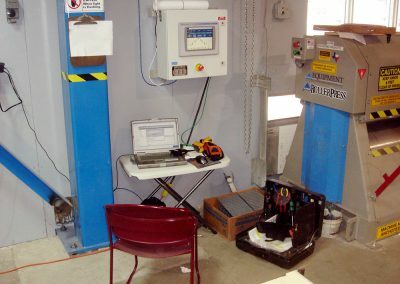 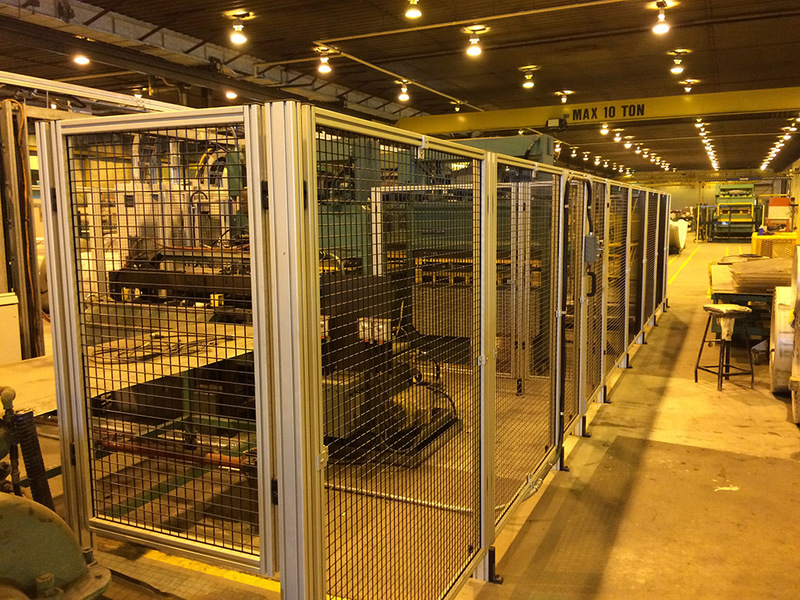 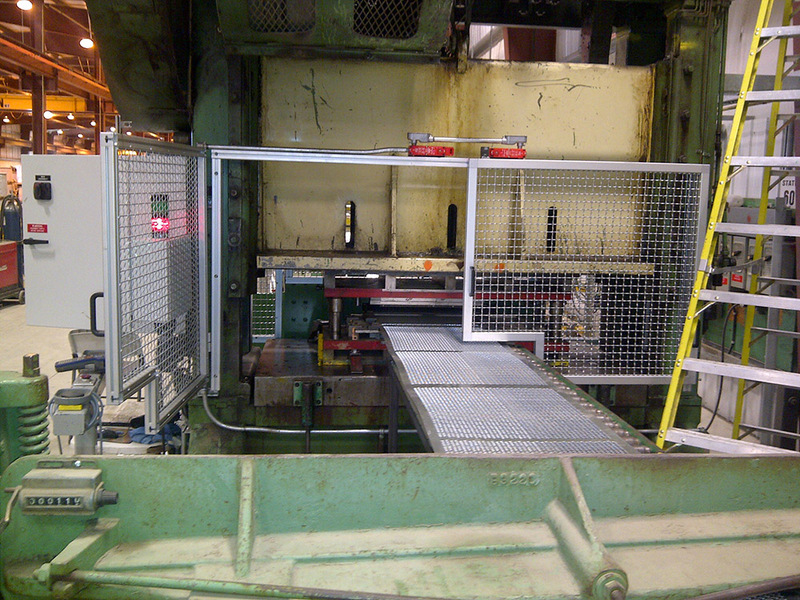 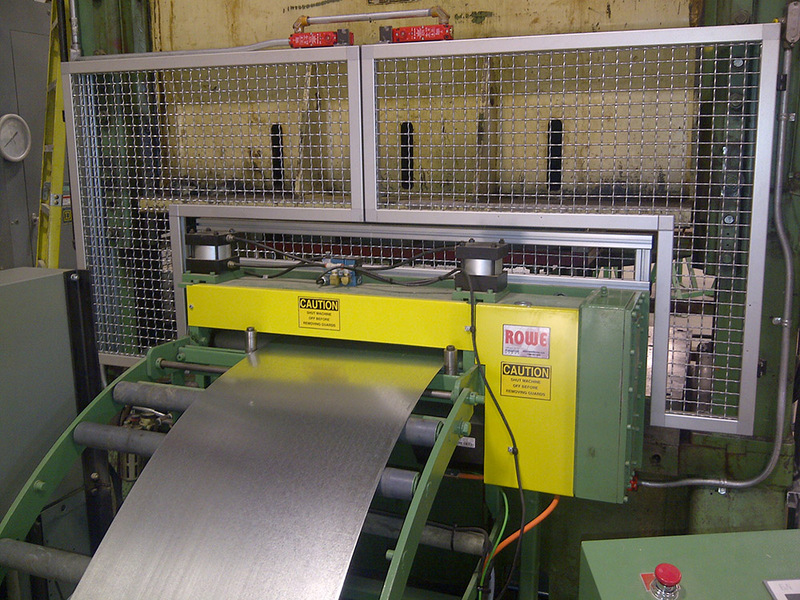 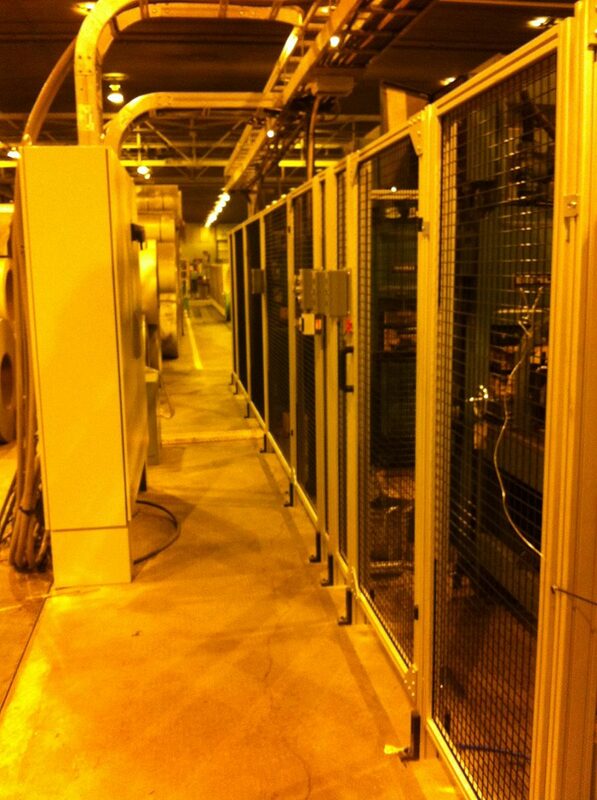 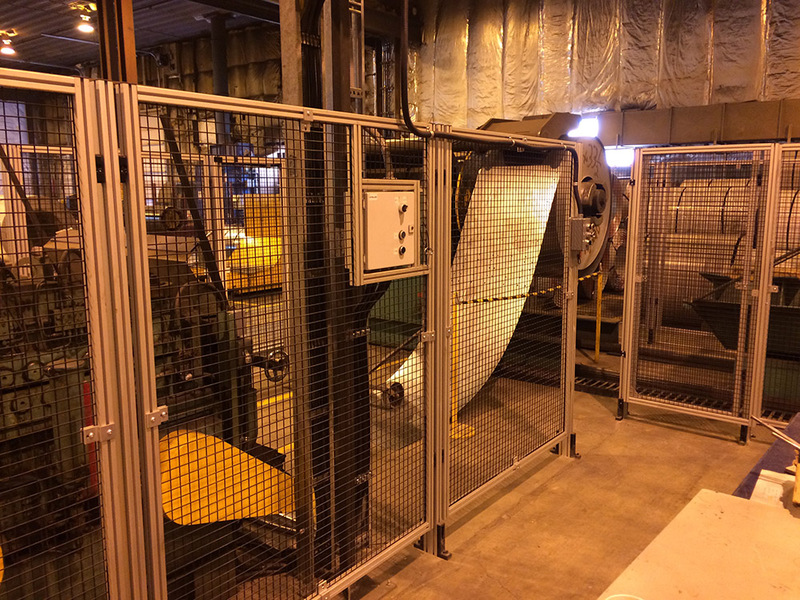 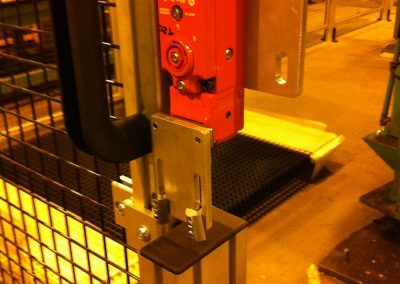 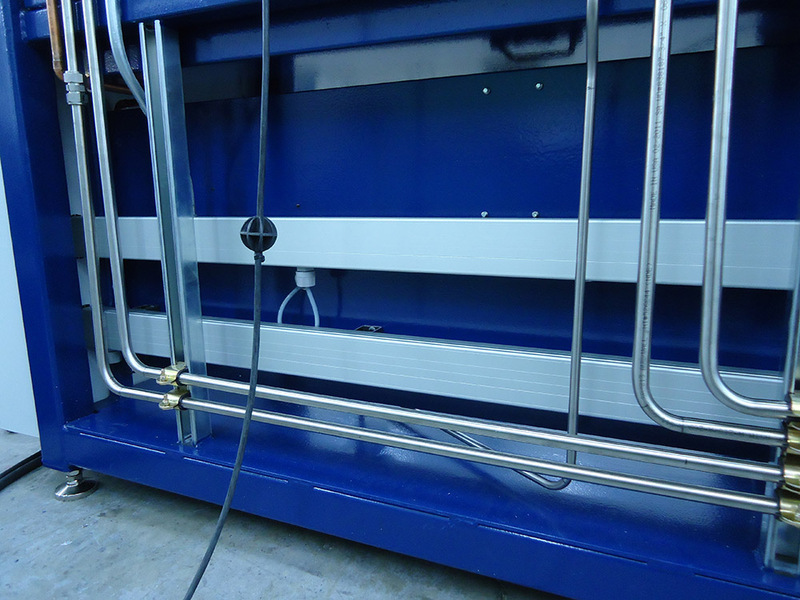 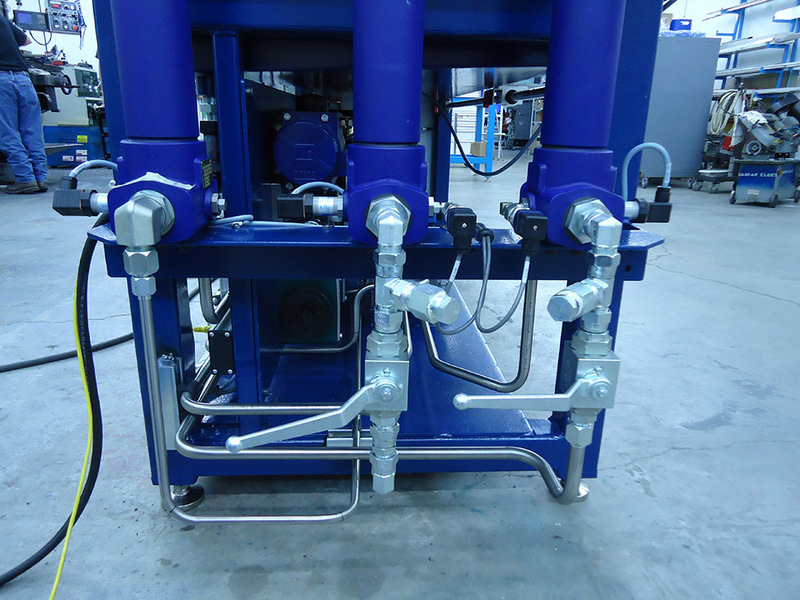 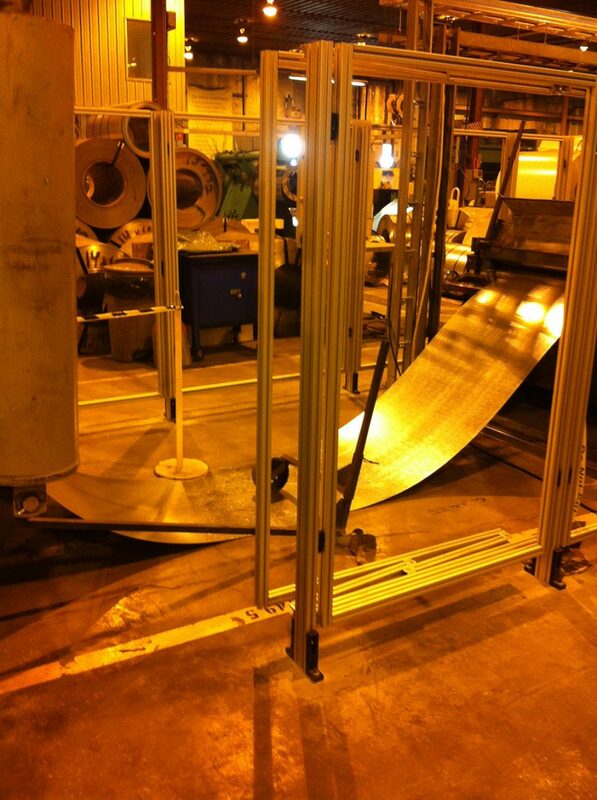 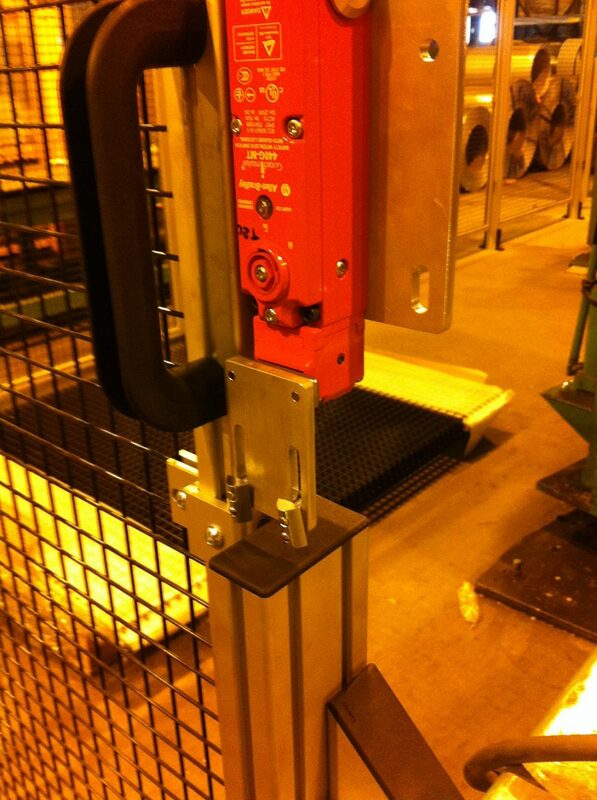 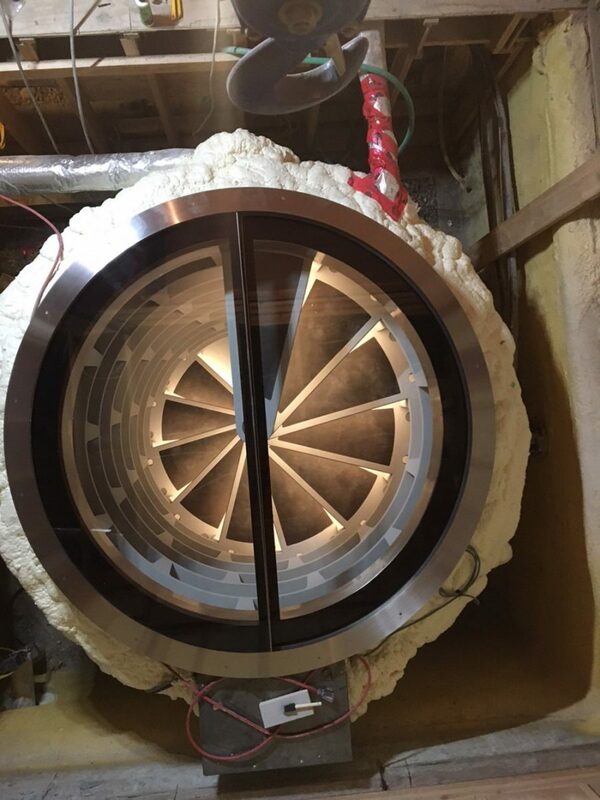 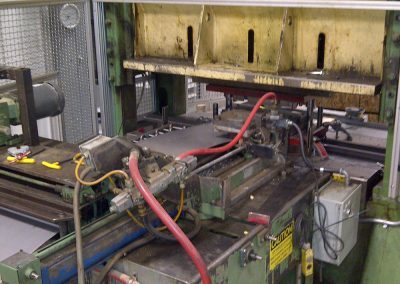 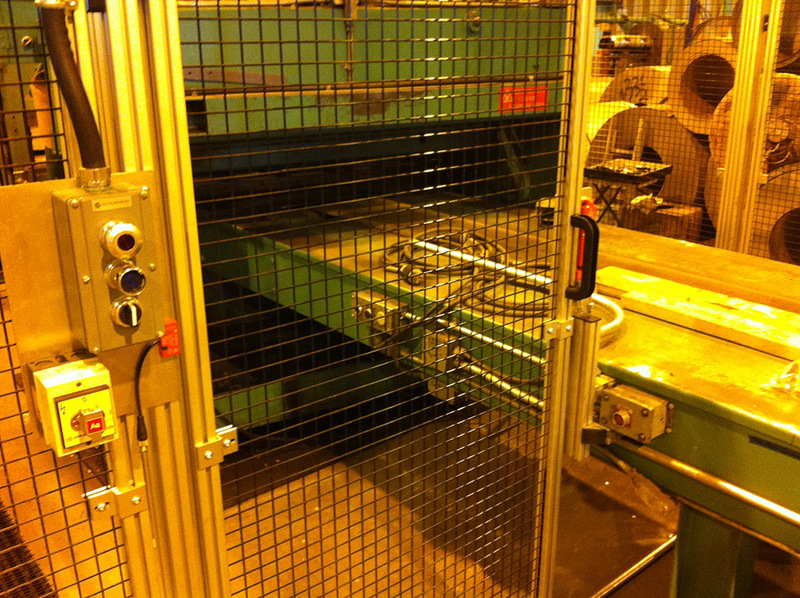 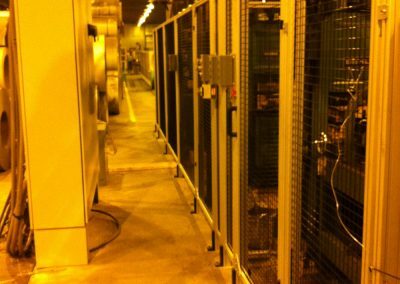 We can also retrofit your existing equipment, upgrading to newer technology … enhancing quality and productivity. 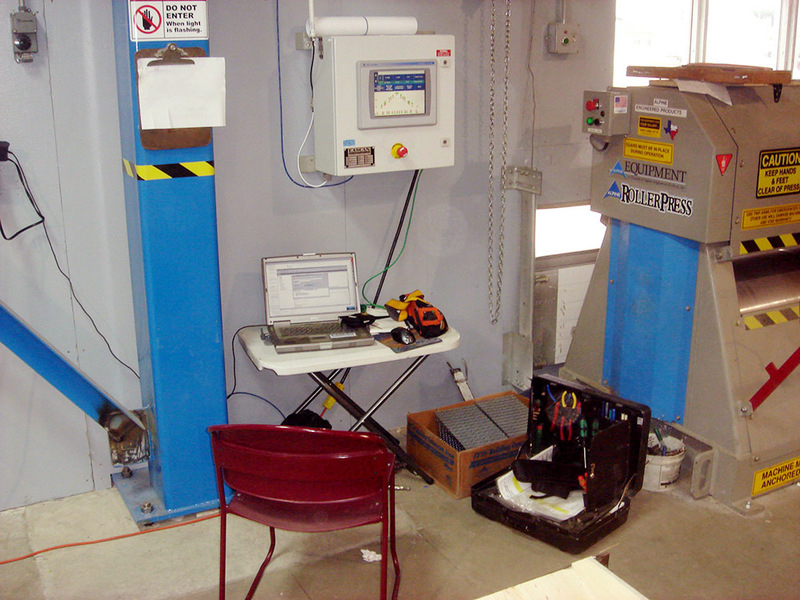 Since 1992, we have served customers in the United States and Canada. 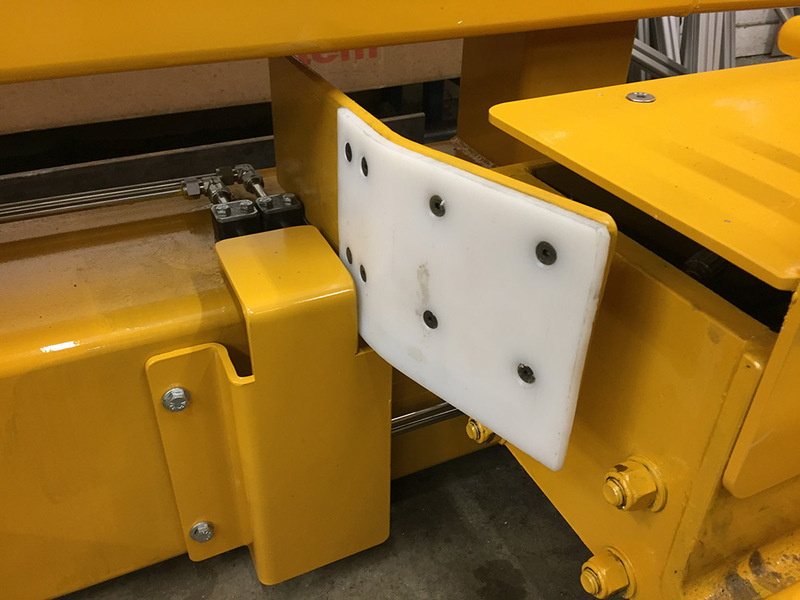 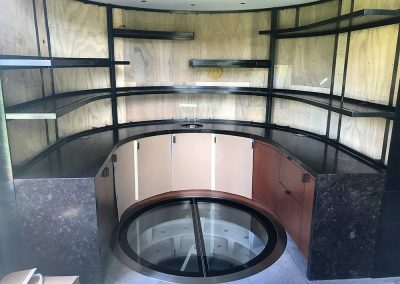 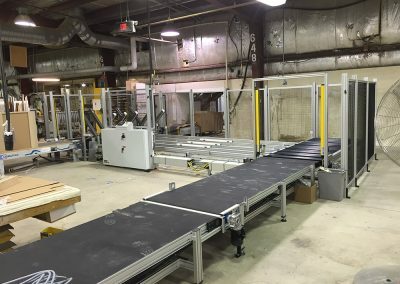 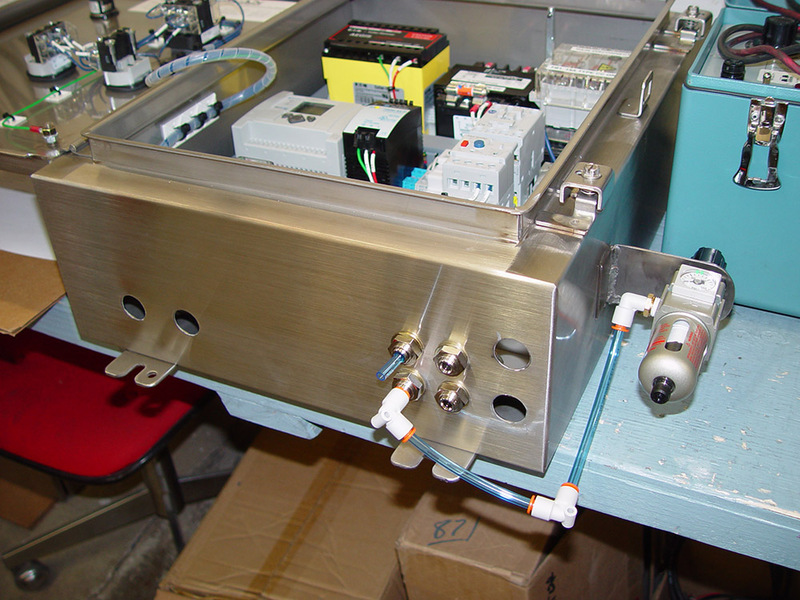 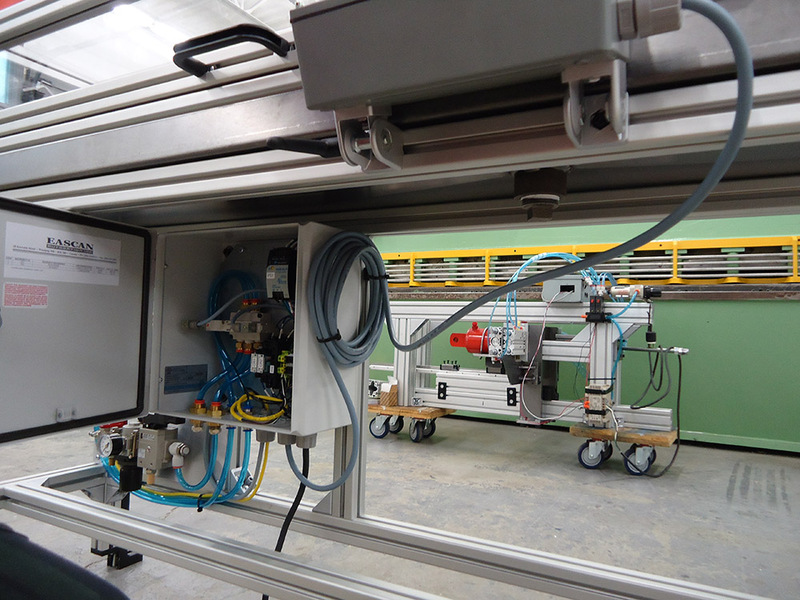 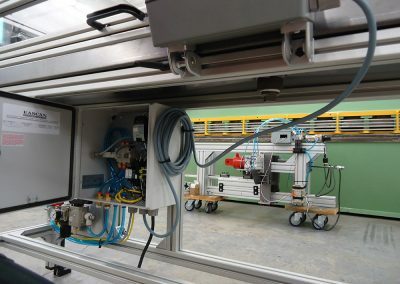 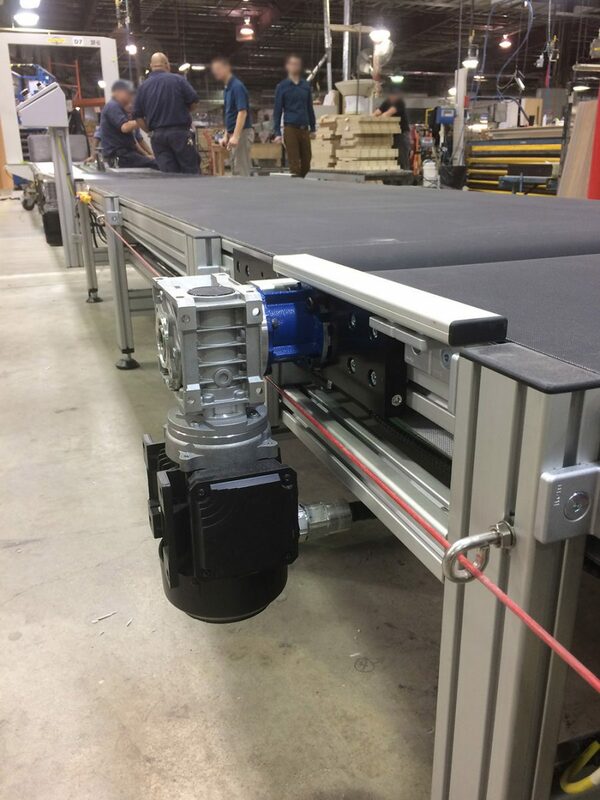 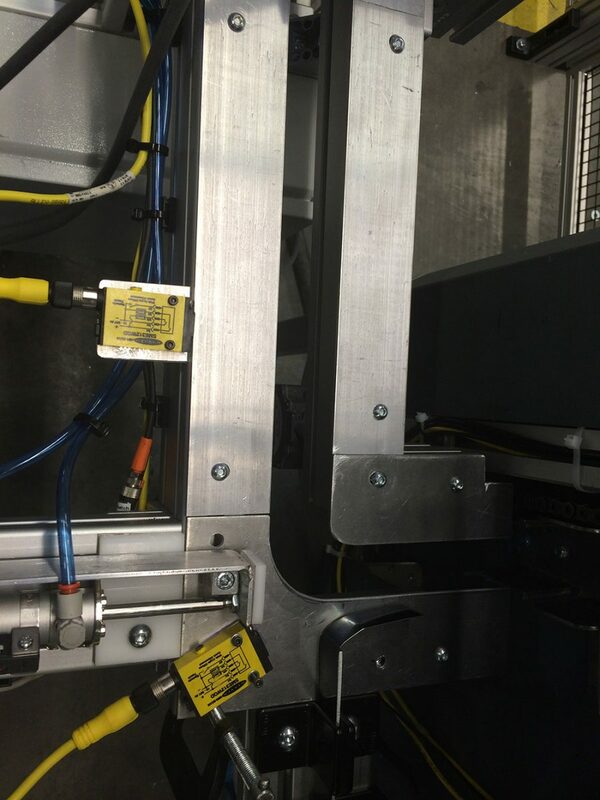 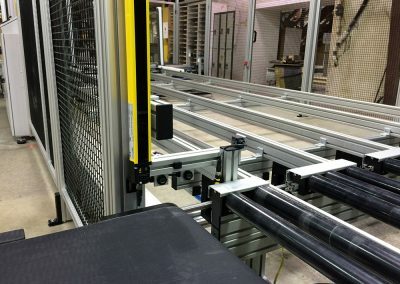 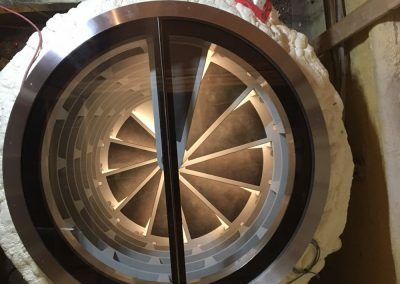 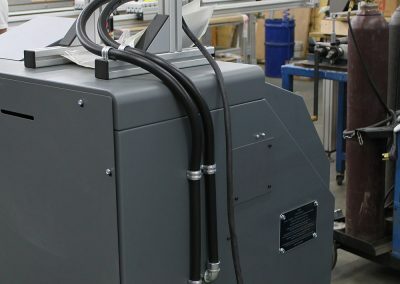 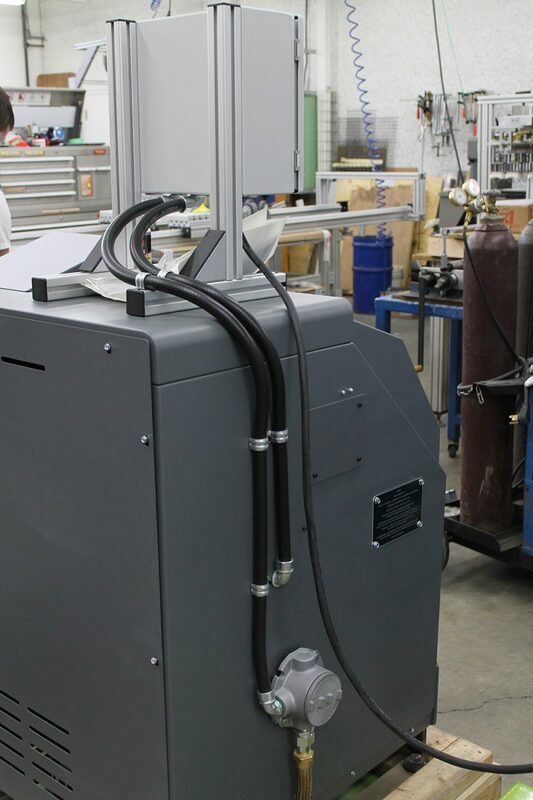 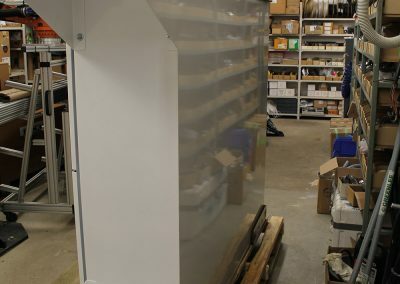 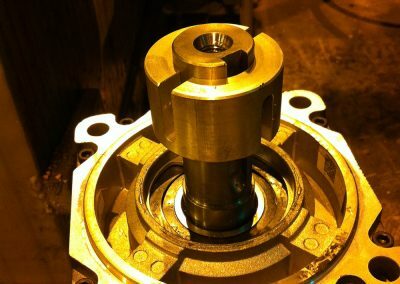 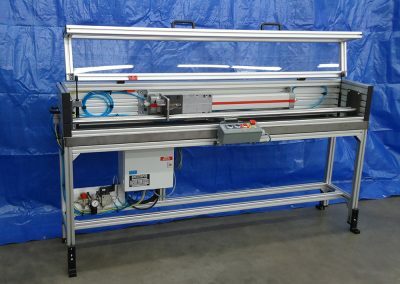 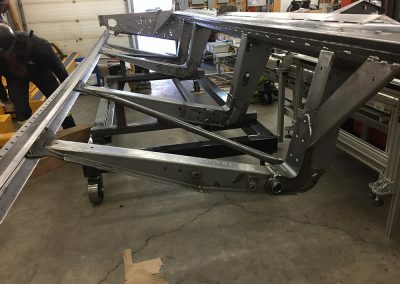 Our Mechanical Design team’s expertise involves many types of hardware such as hydraulics, pneumatics, spot welders, tool & die equipment, as well as the machine control to bring this hardware into “motion” with state-of-the-art equipment. 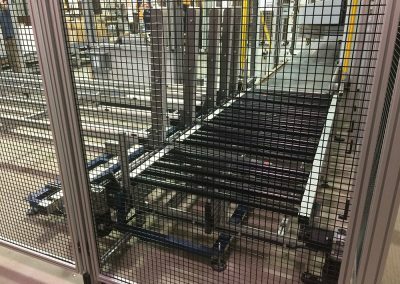 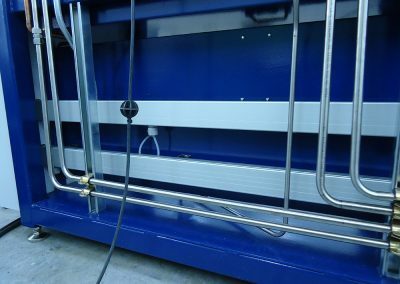 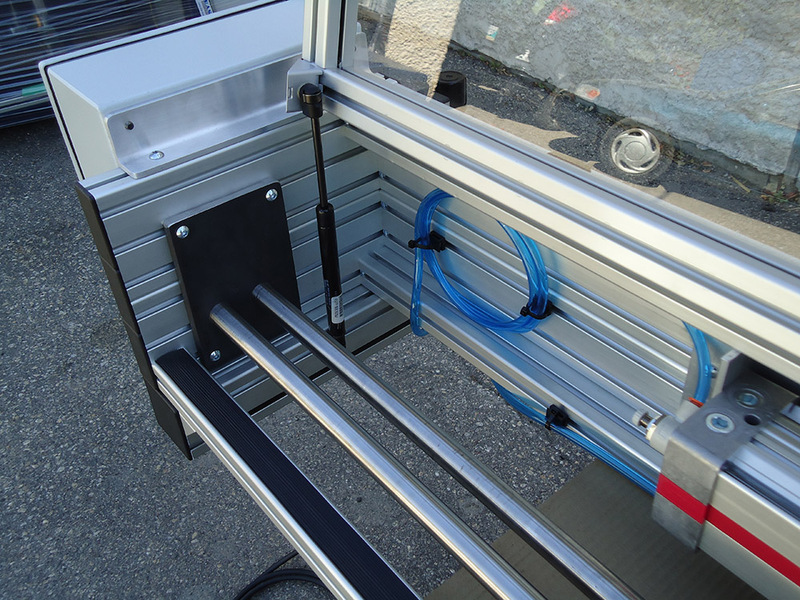 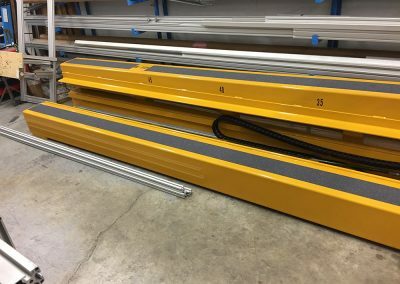 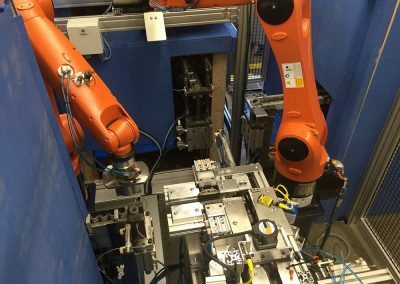 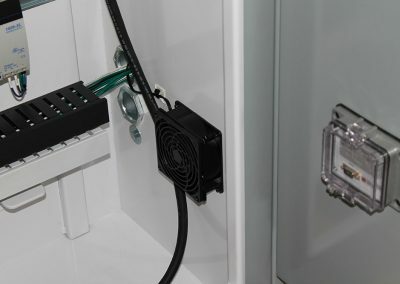 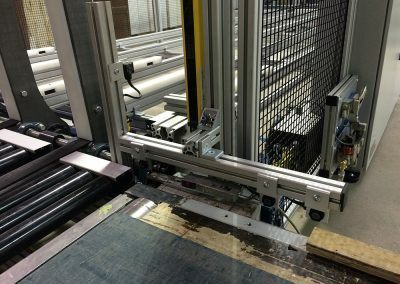 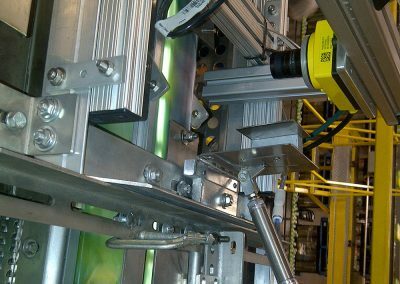 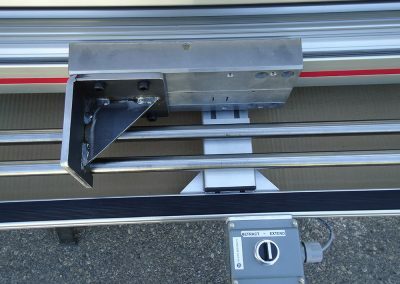 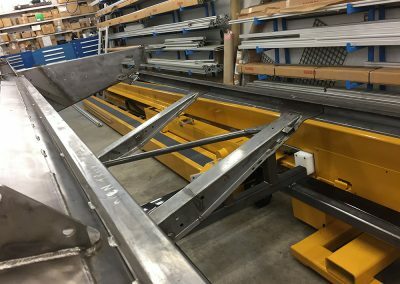 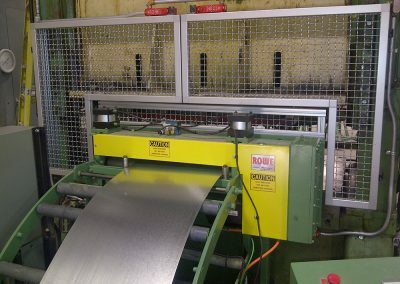 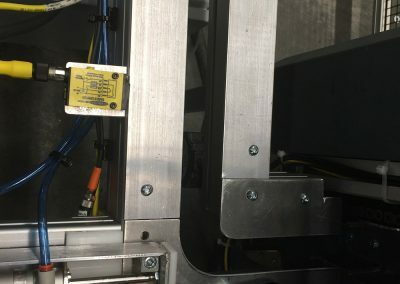 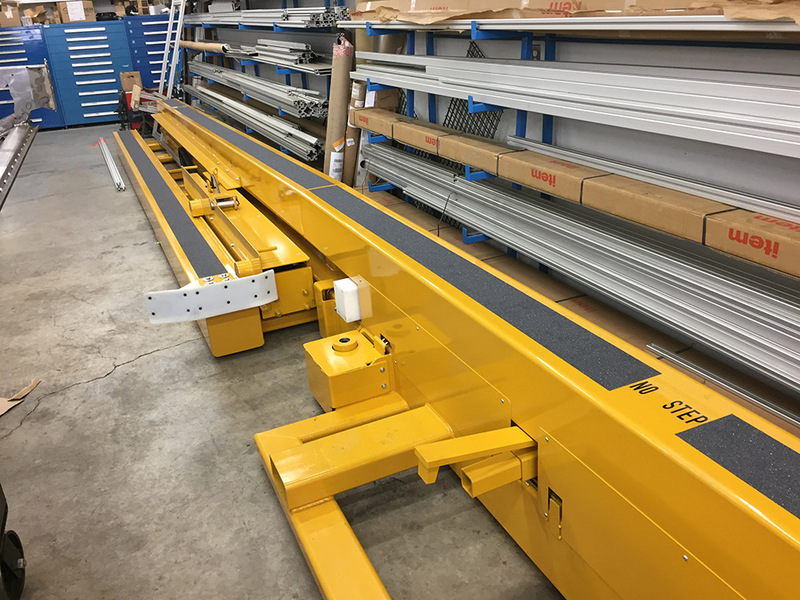 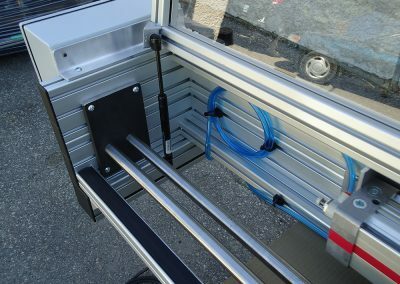 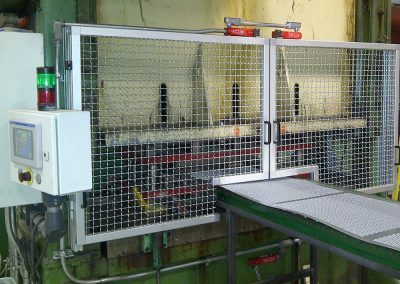 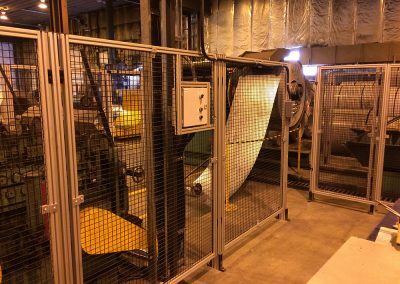 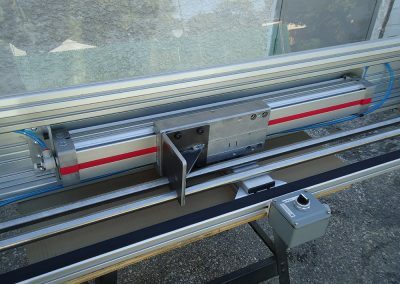 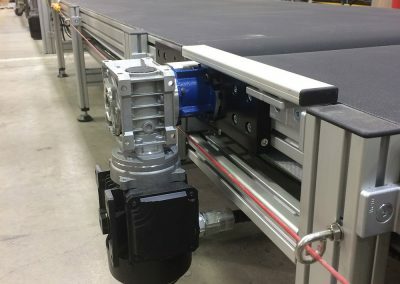 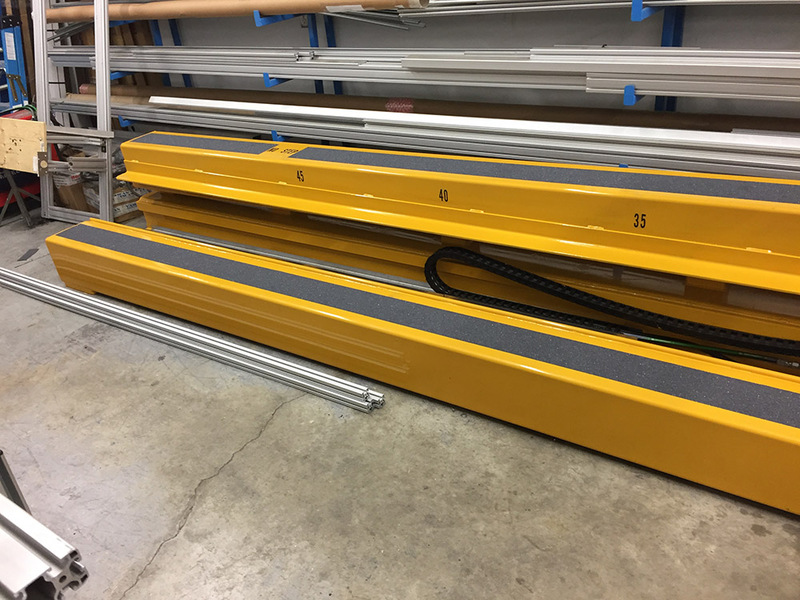 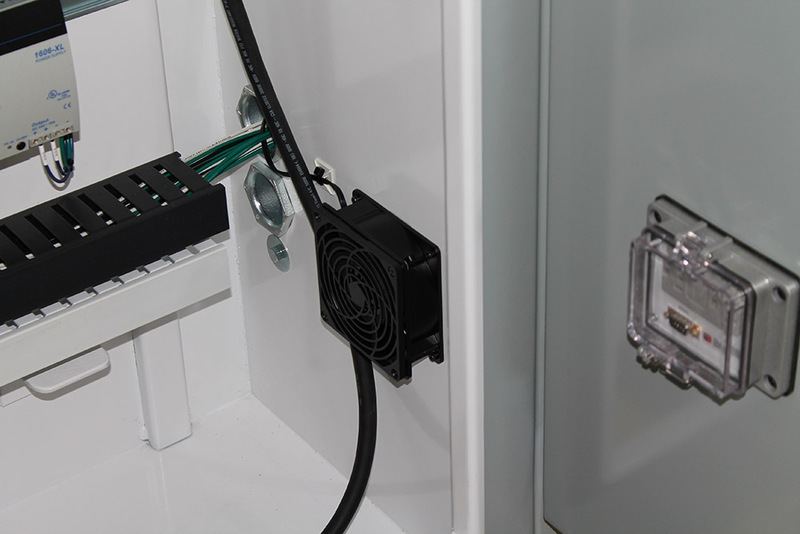 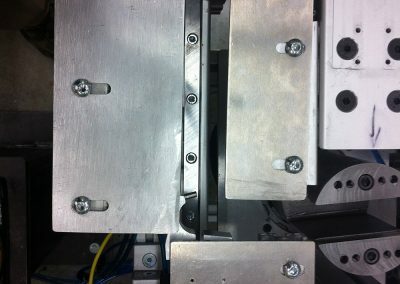 The use of Extruded Aluminium as a more effective way of building our machines has led us to becoming a Distributor for the item product line. 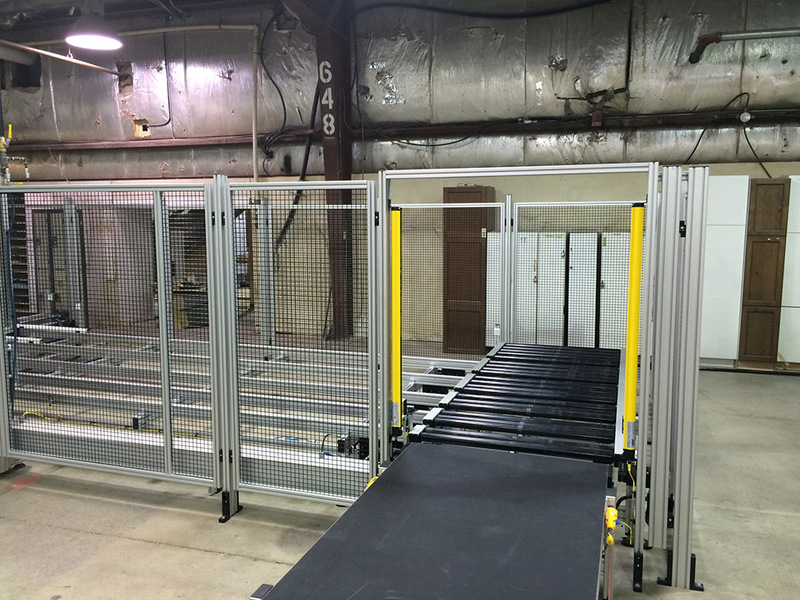 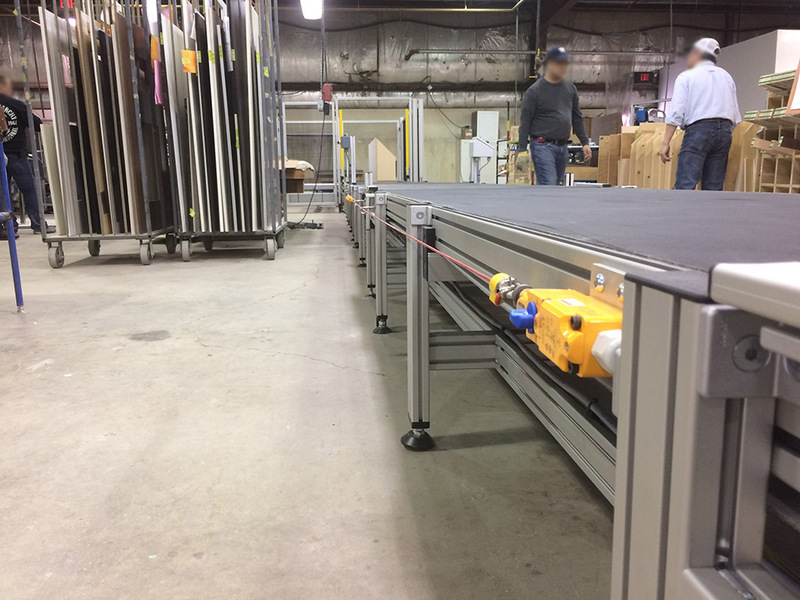 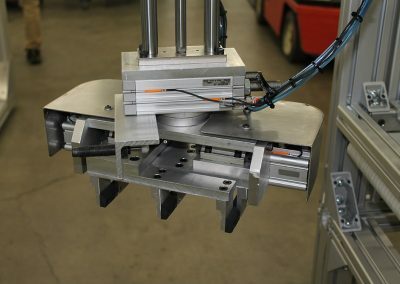 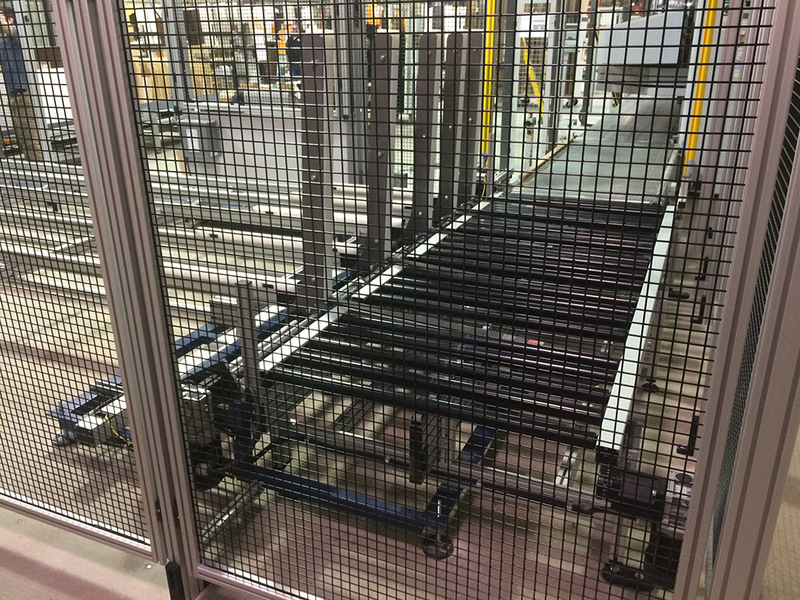 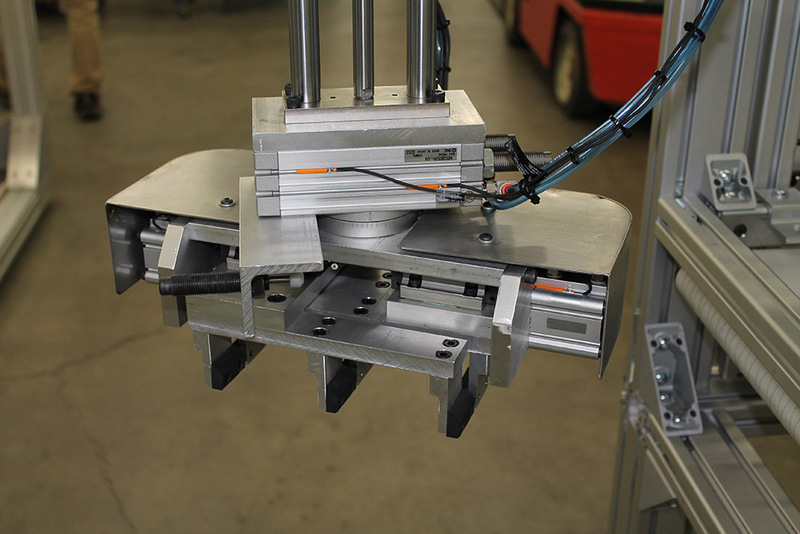 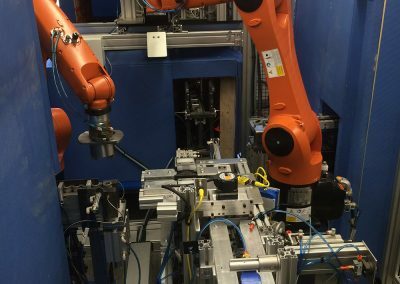 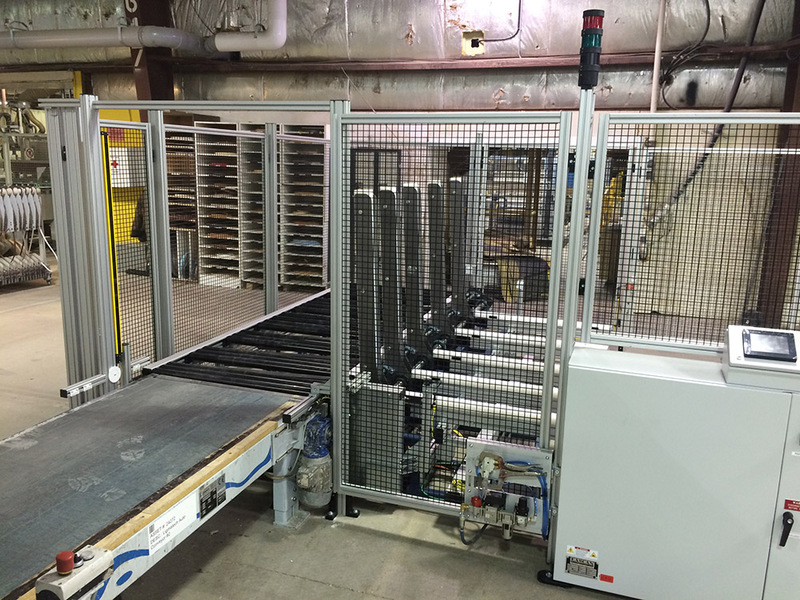 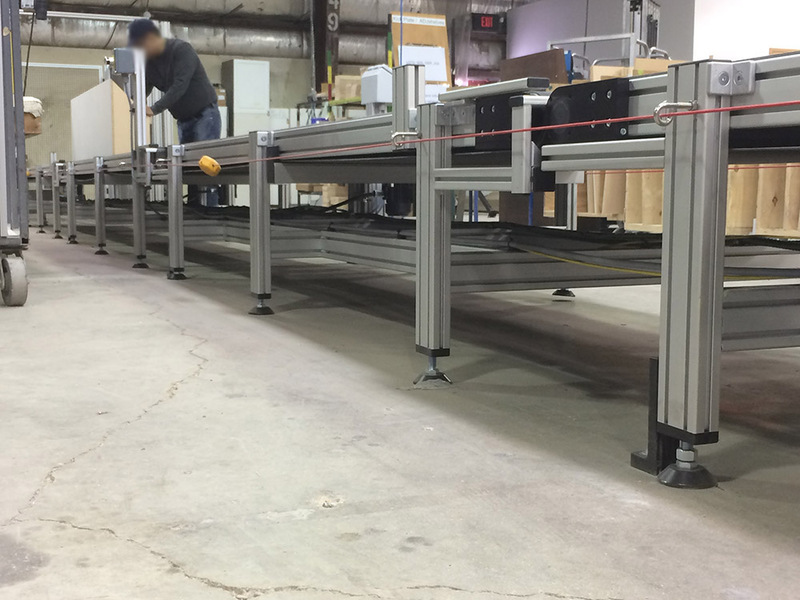 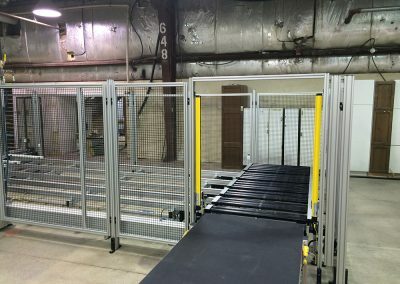 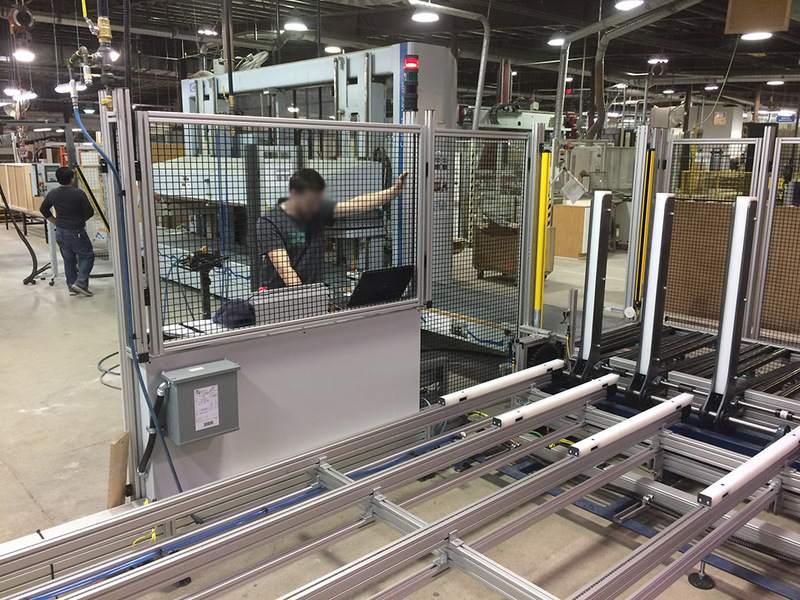 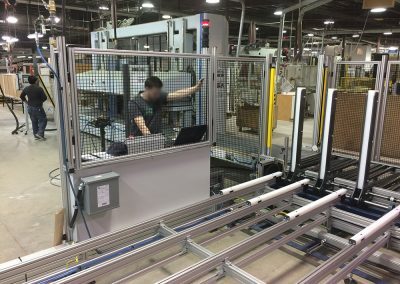 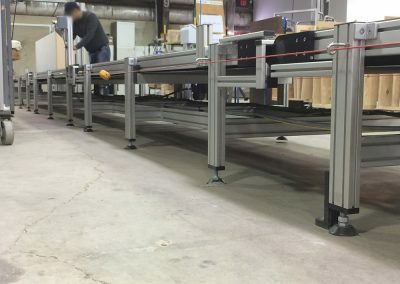 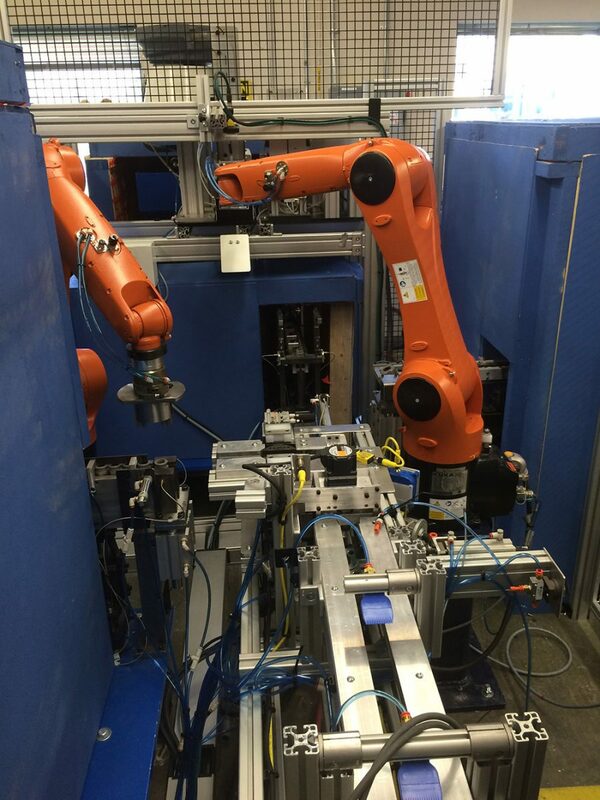 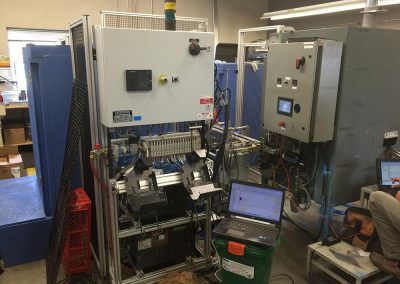 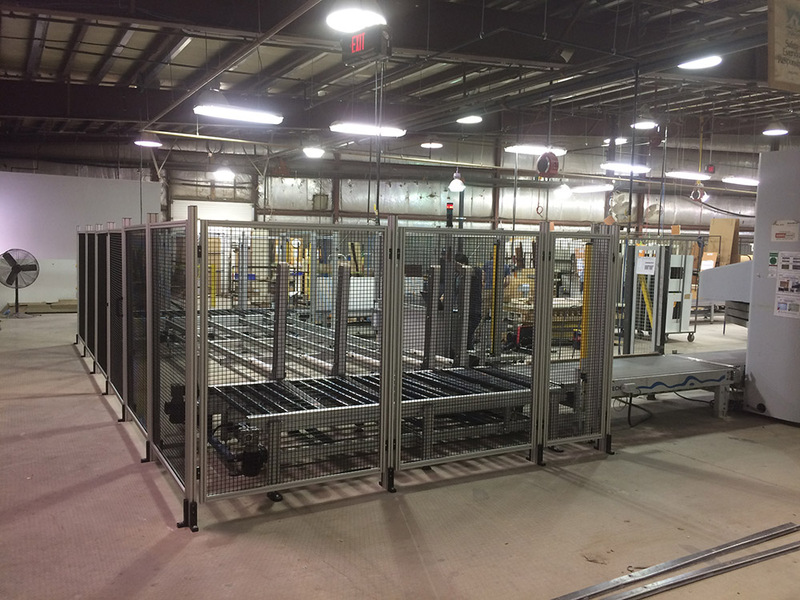 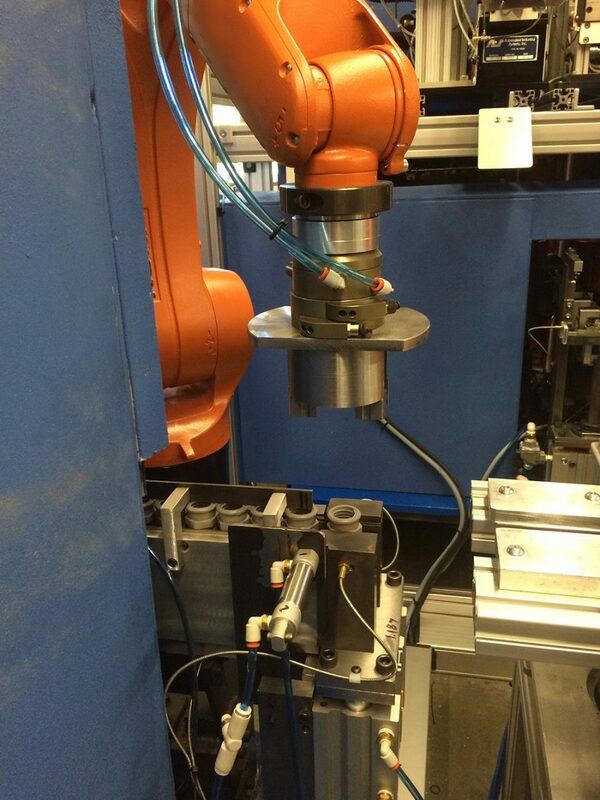 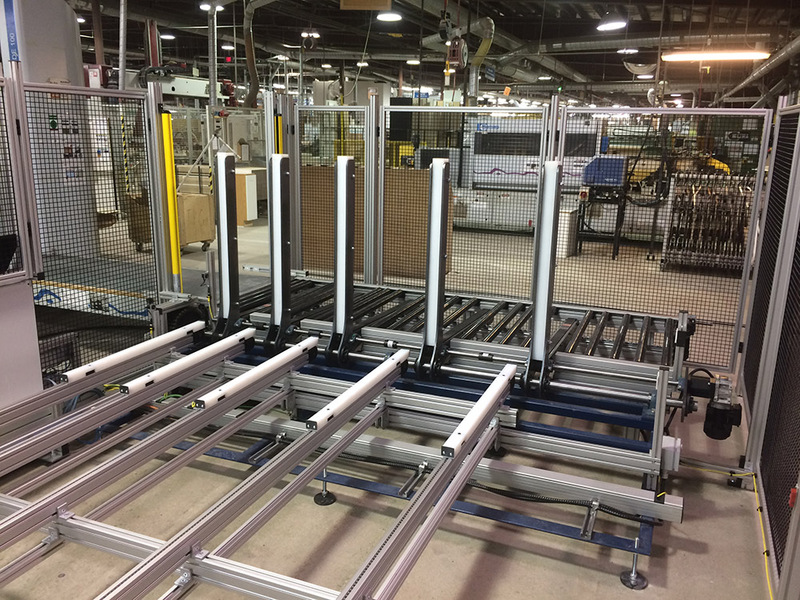 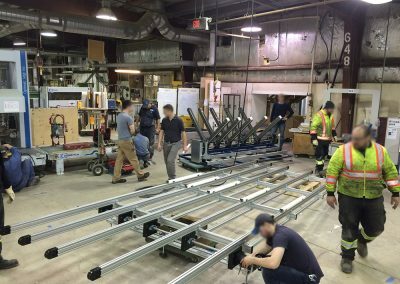 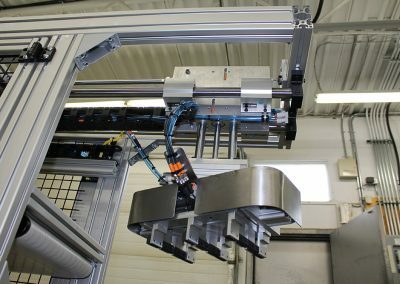 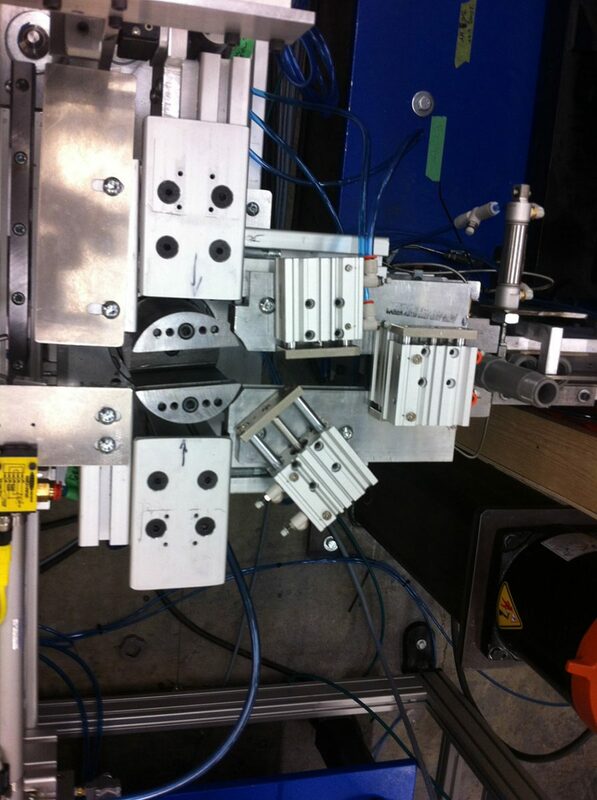 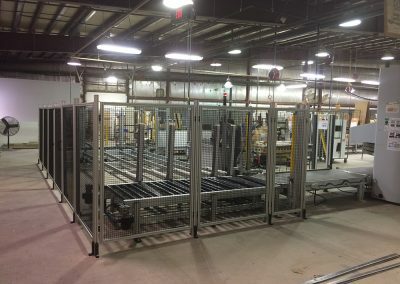 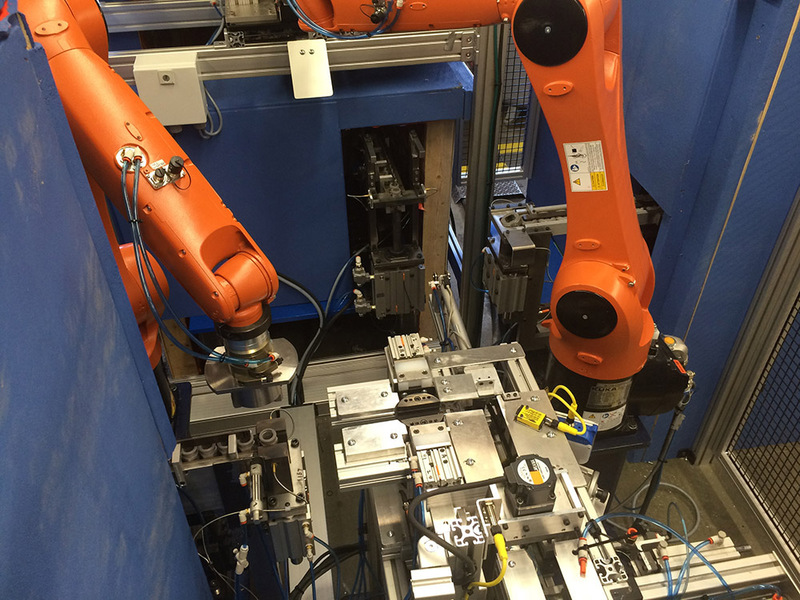 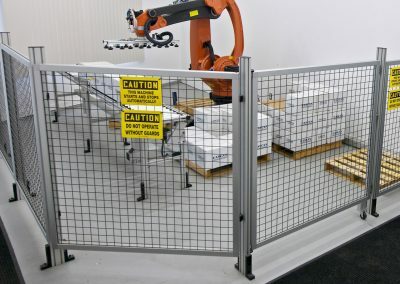 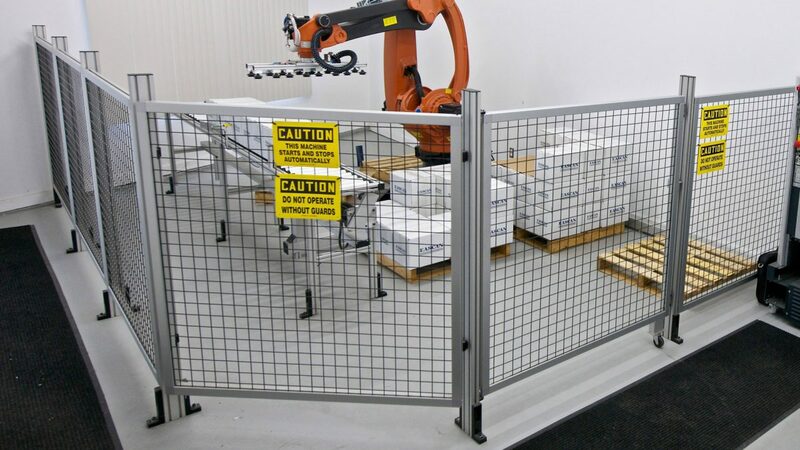 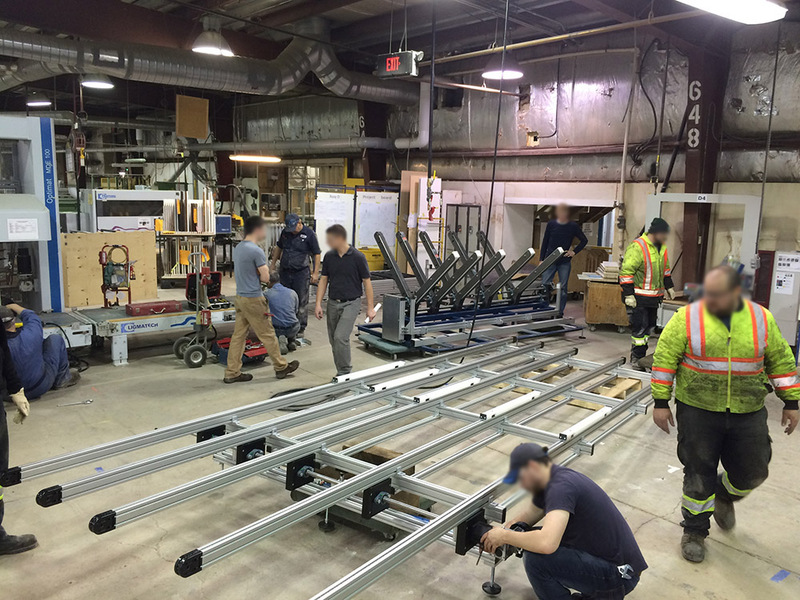 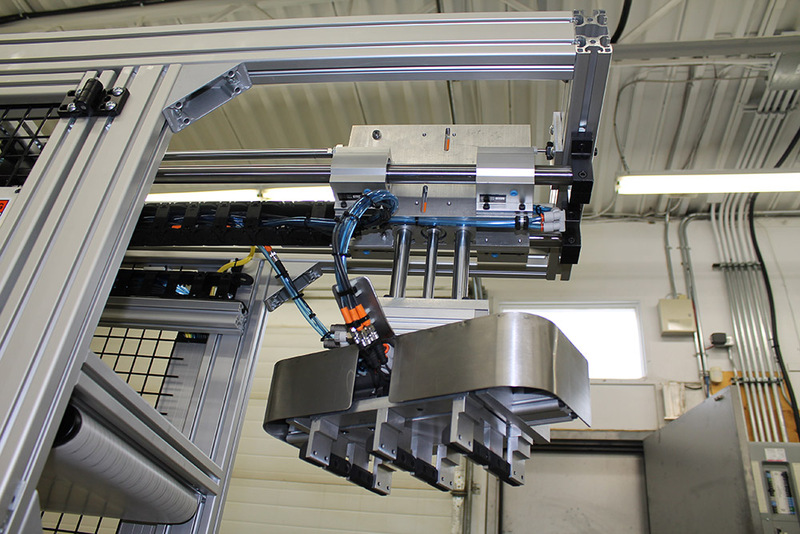 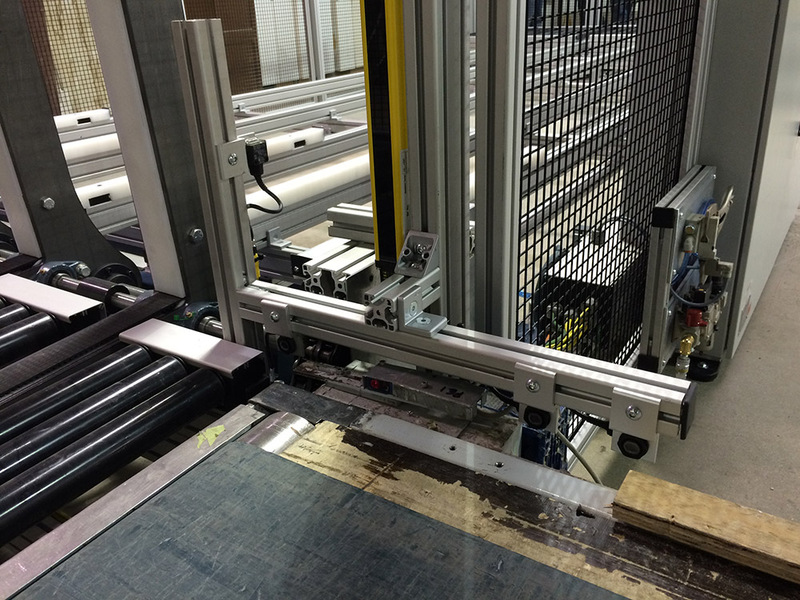 Eascan Automation – helping North American companies compete in the global market. 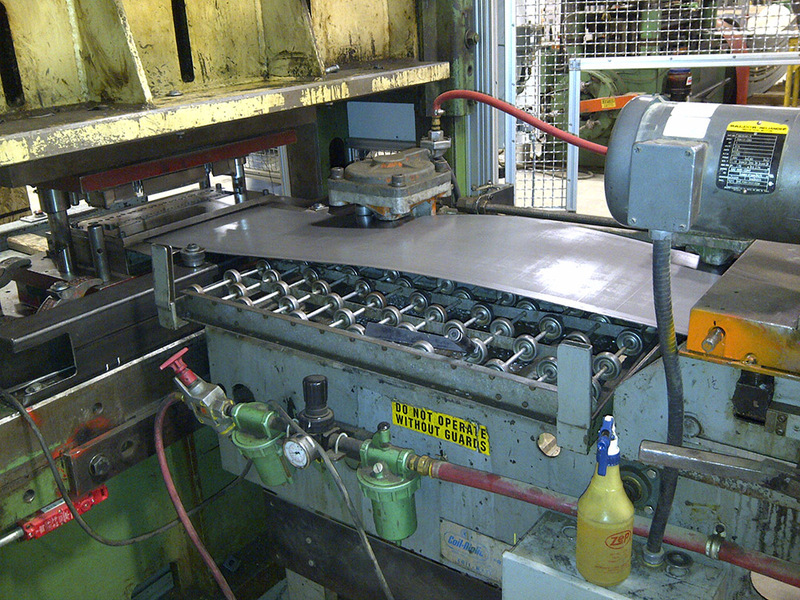 CONTACT US TO FIND OUT HOW TO INCREASE PRODUCTIVITY! 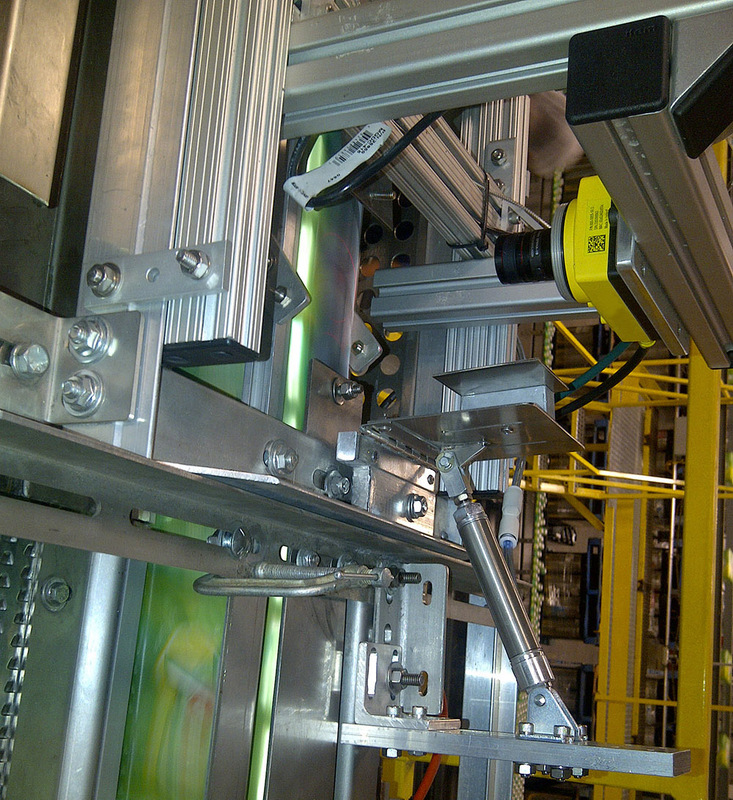 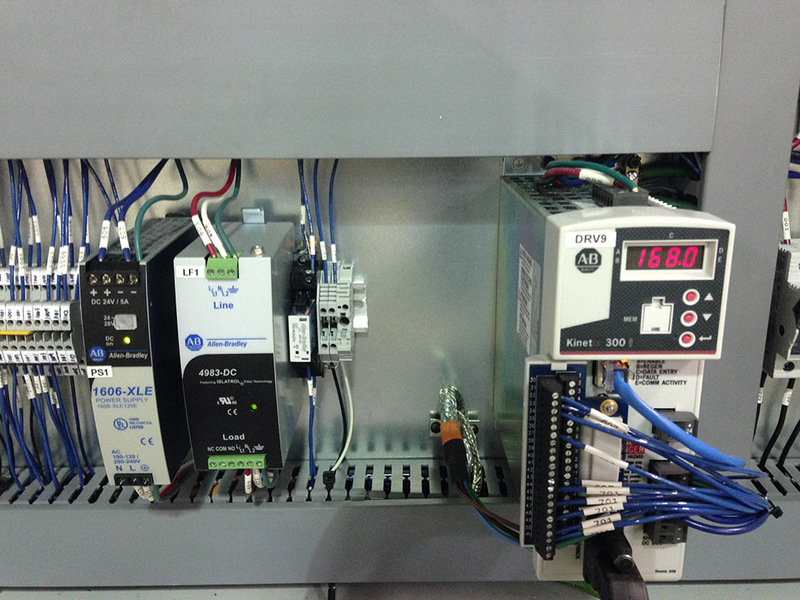 To learn more about our Industrial Automation Solutions, call 204-224-0114 or fill out the contact form to the left. 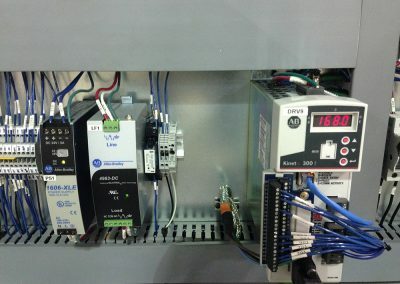 To learn more about our Industrial Automation Solutions, call 204-224-0114 or fill out the contact form. 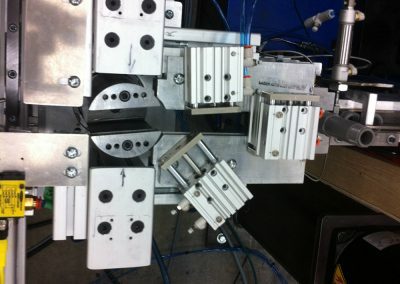 Keep updated with Eascan news and promotional offers.